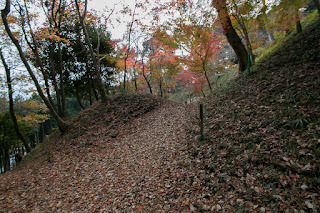 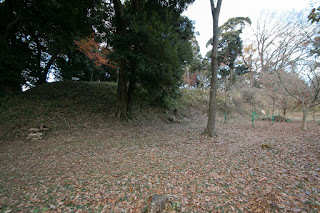 Kazuyarama castle (葛山城, also pronounced as Katsurayama castle) is located at the east foot of Mt. 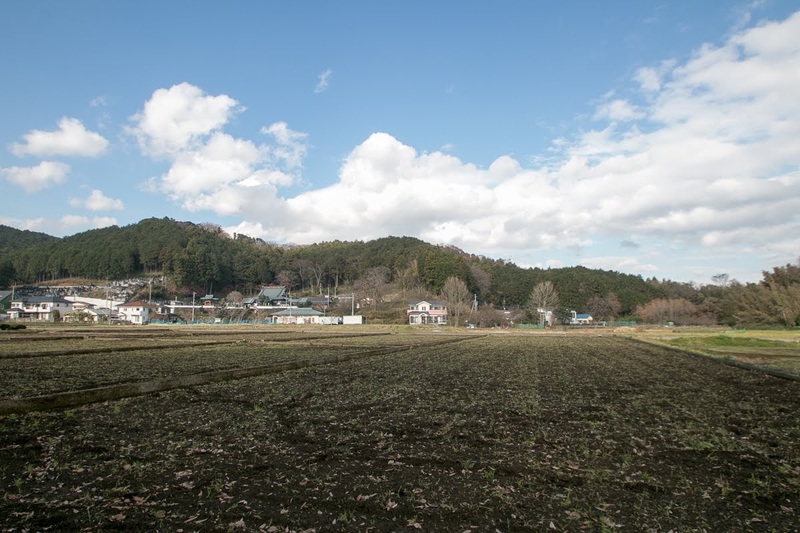 Fuji, in the east end of Suruga country (middle part of Shizuoka prefecture). 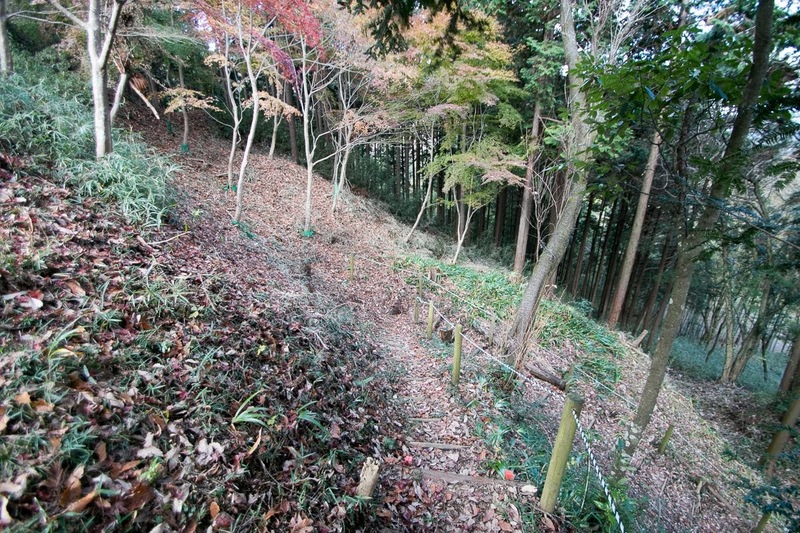 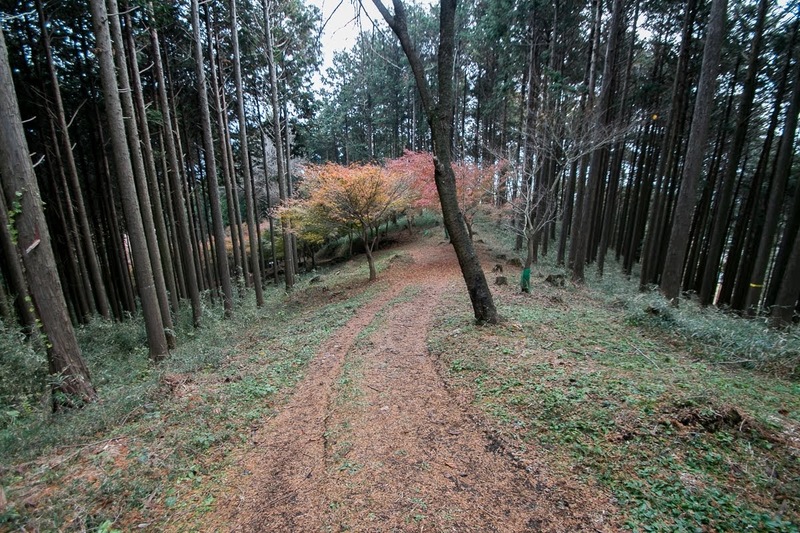 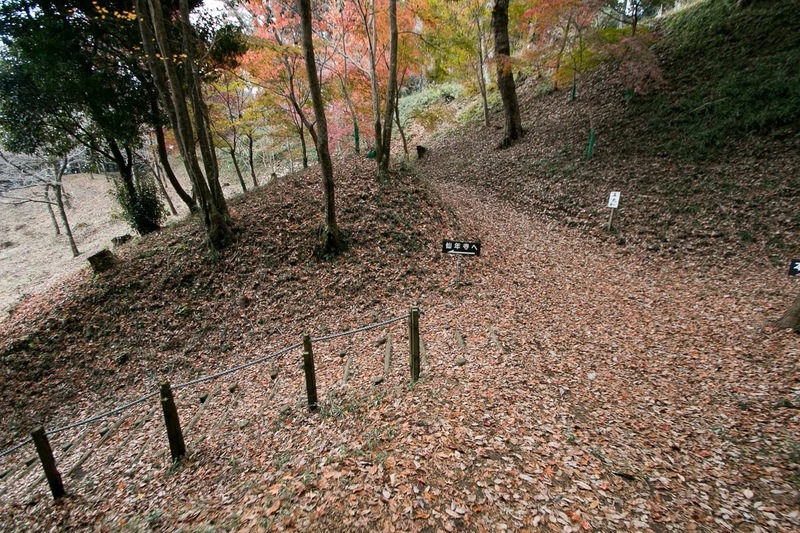 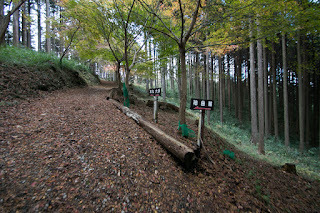 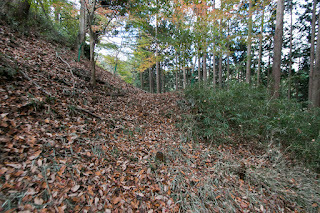 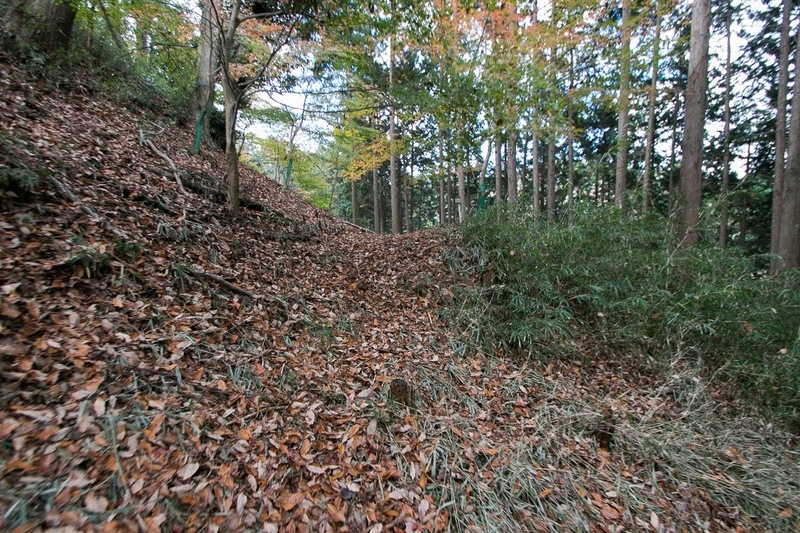 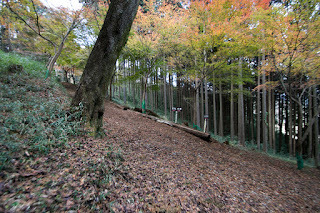 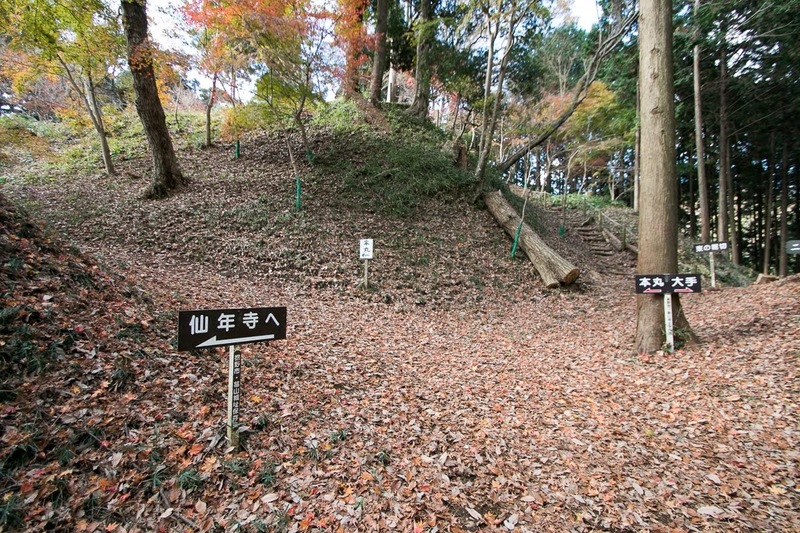 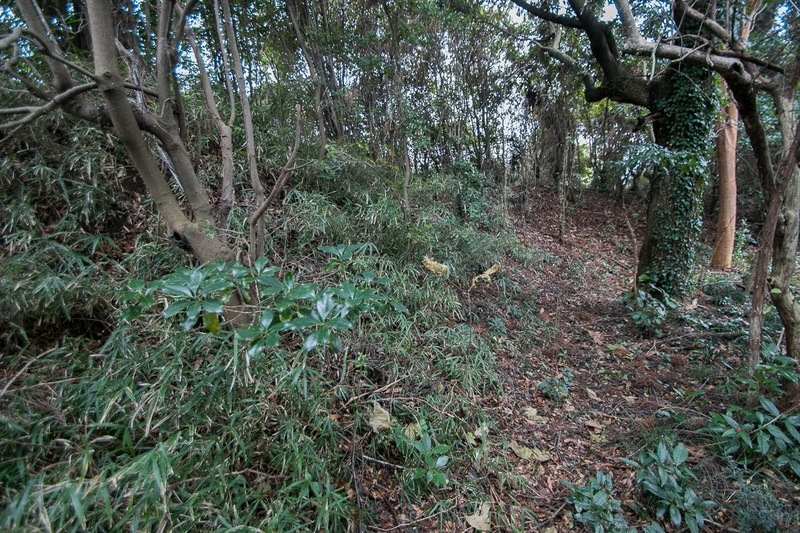 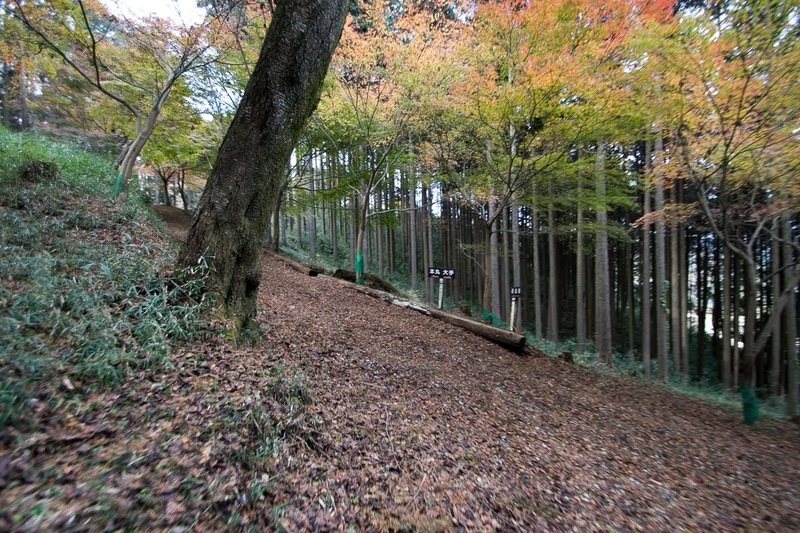 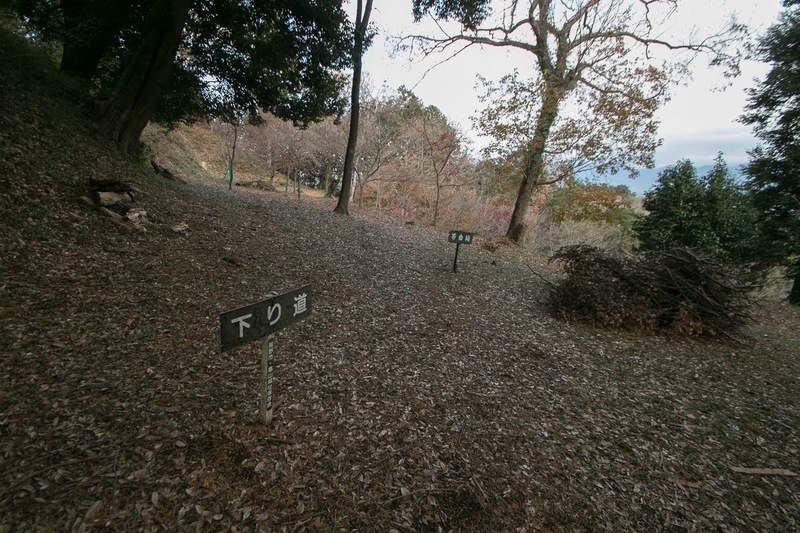 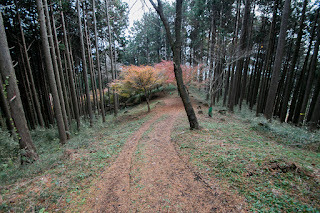 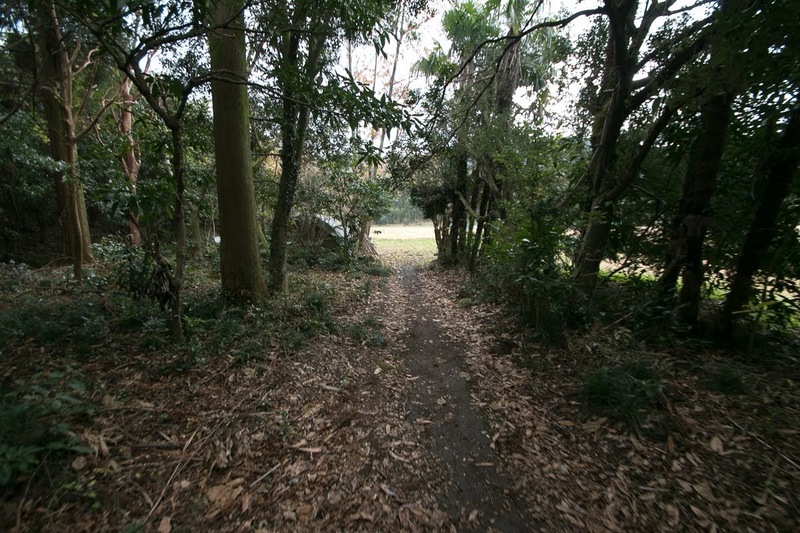 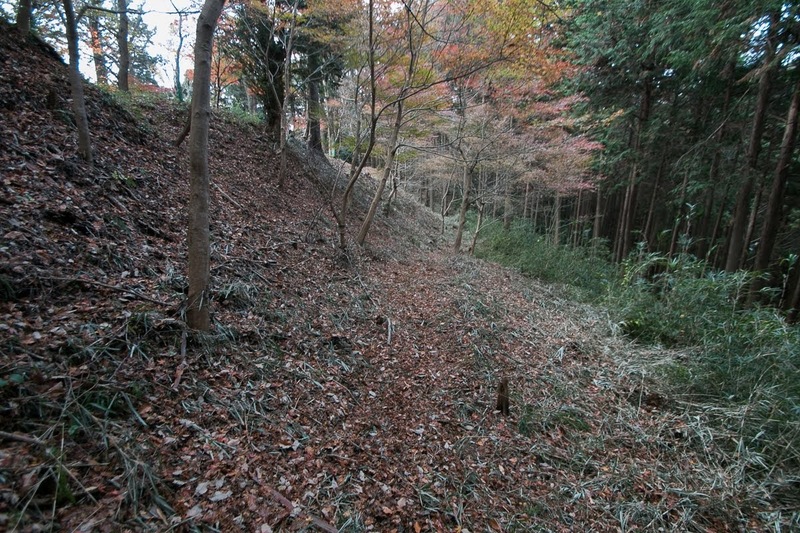 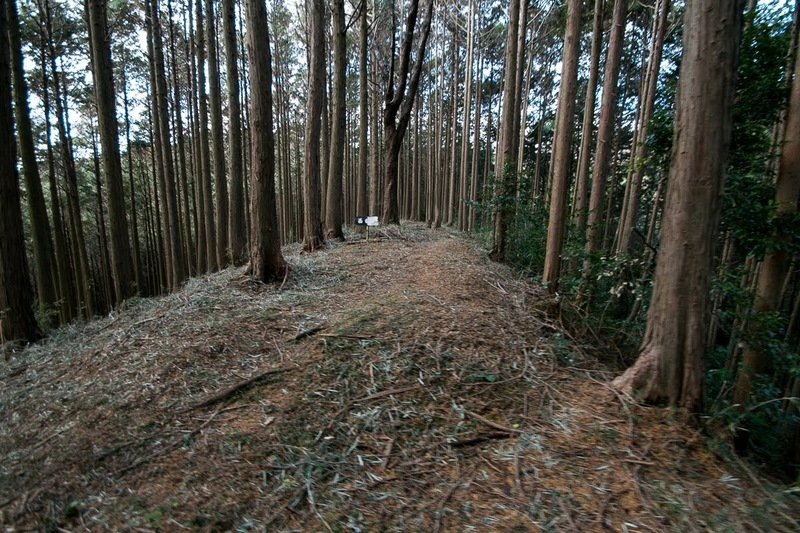 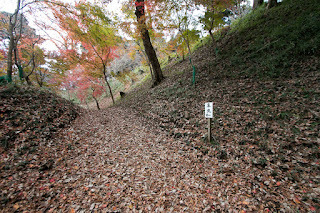 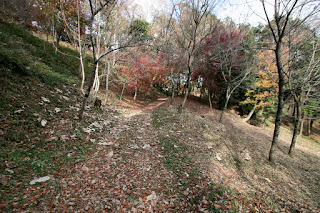 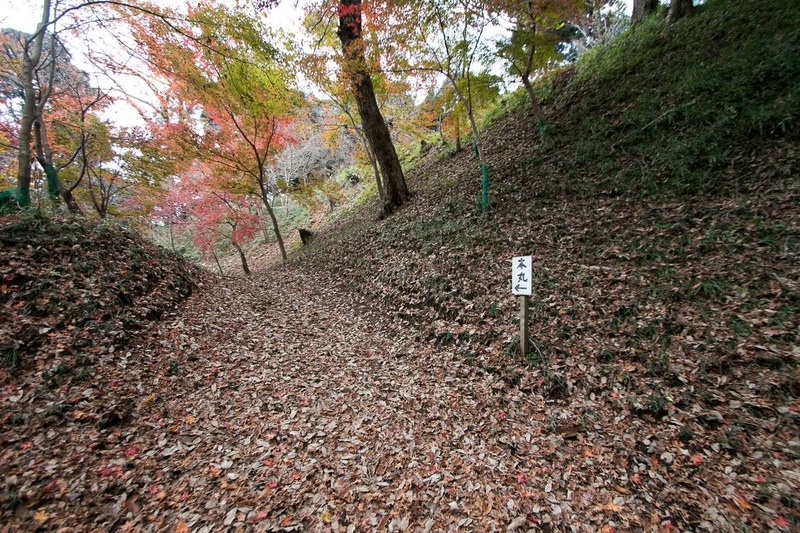 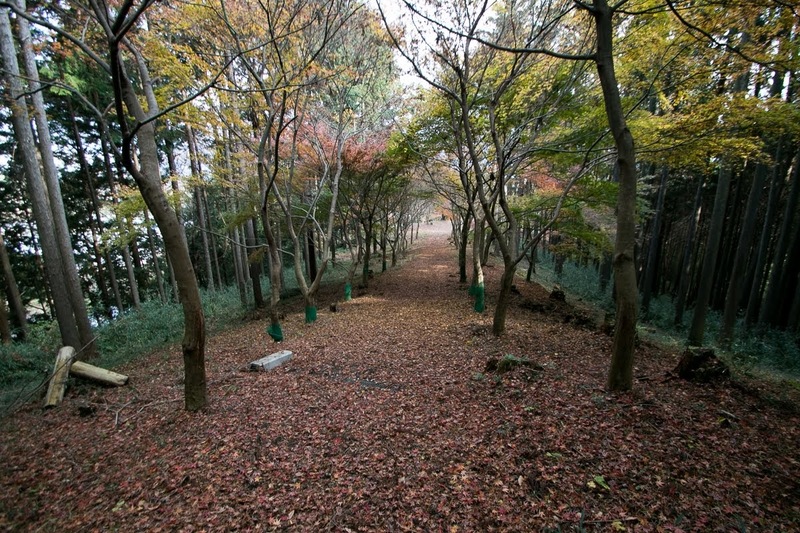 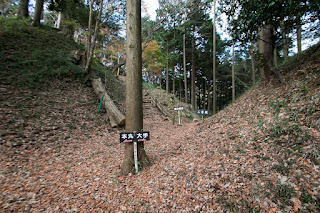 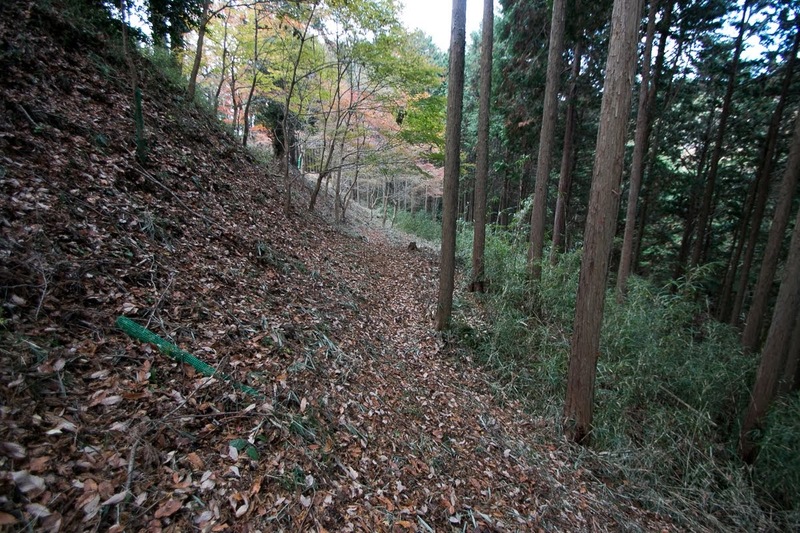 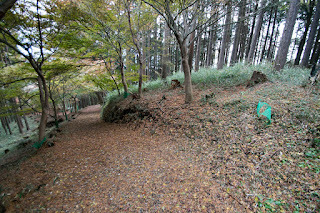 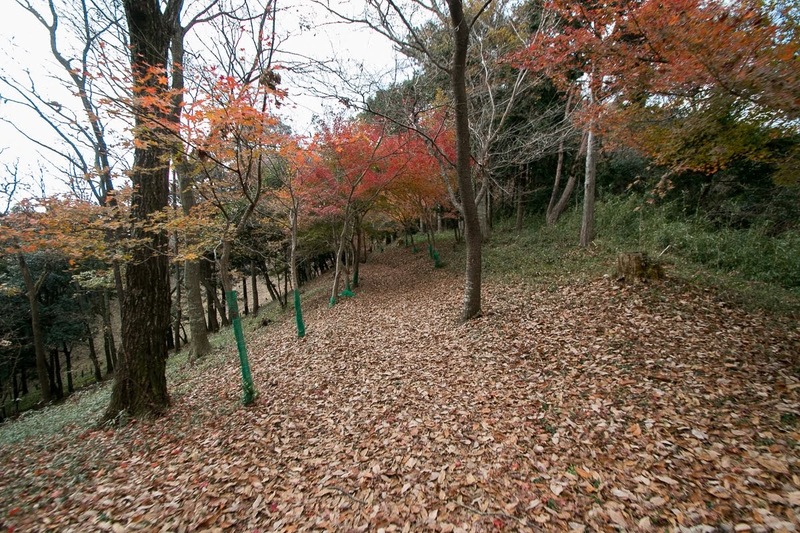 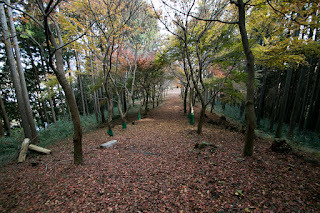 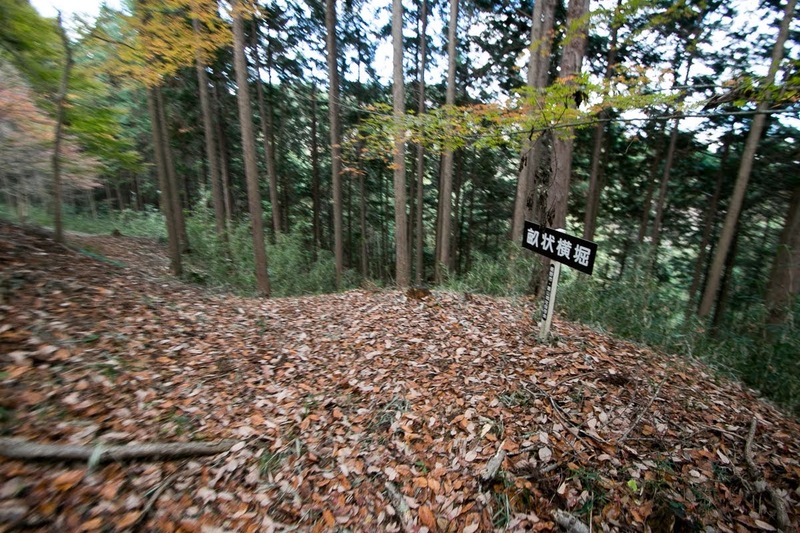 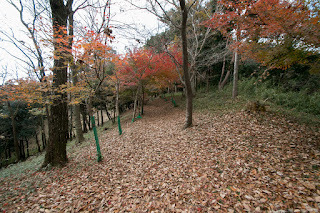 This area is a narrow path surrounded by Mt. 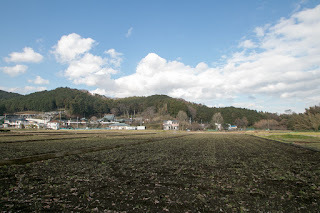 Fuji and Hakone mountains, and an important path connecting Suruga country, Sagami country (Kanagawa prefecture) and Kai country (Yamanashi prefecture). 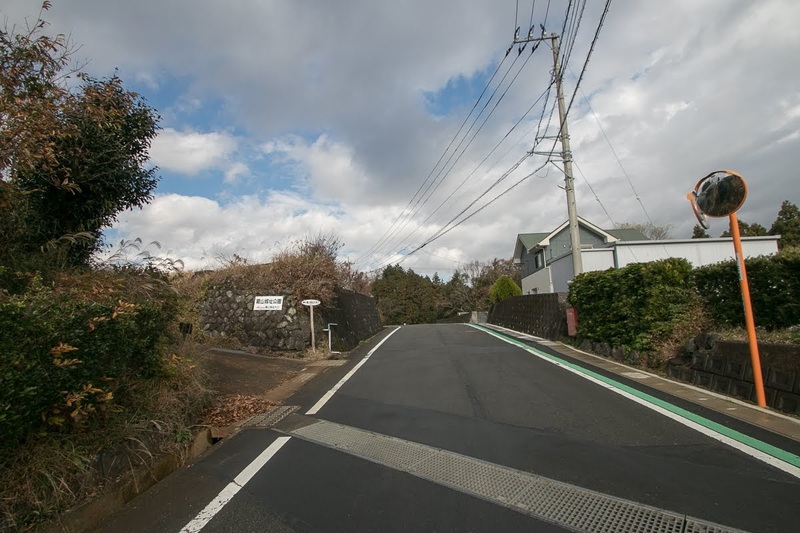 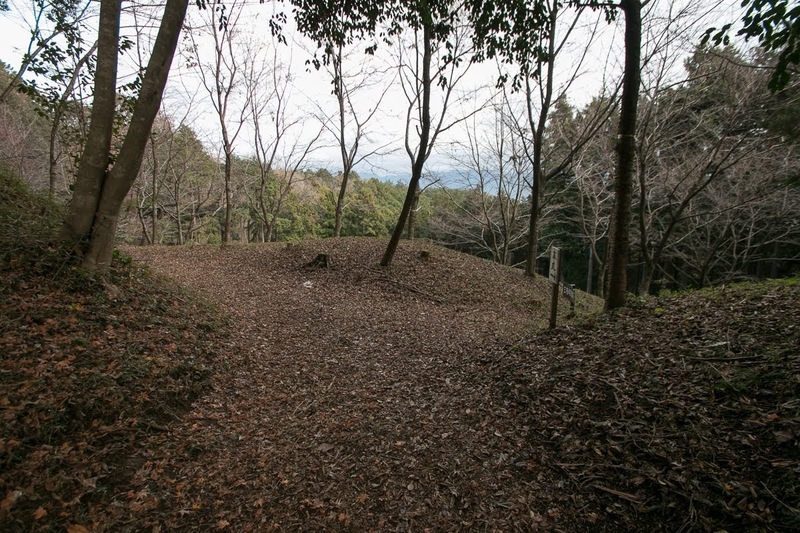 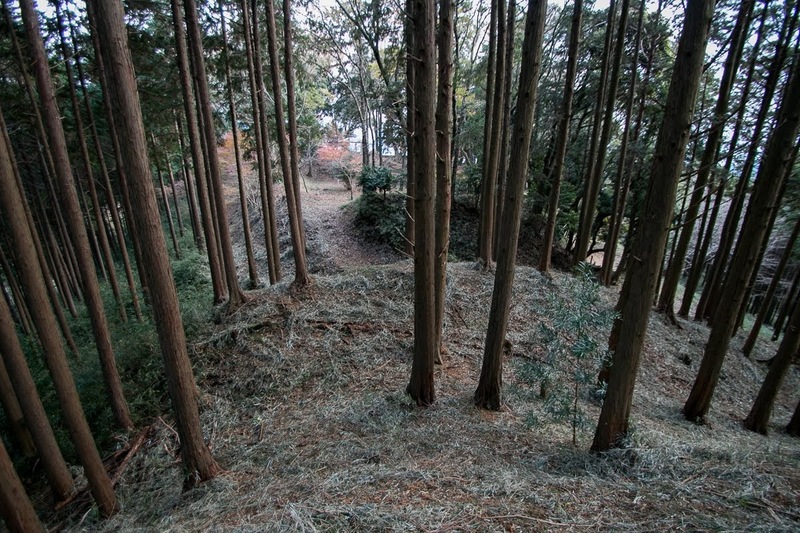 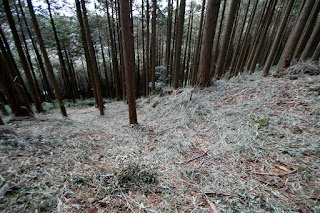 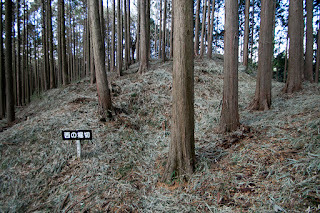 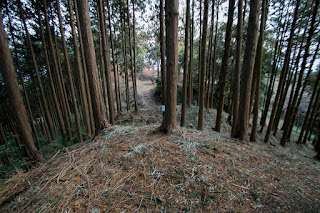 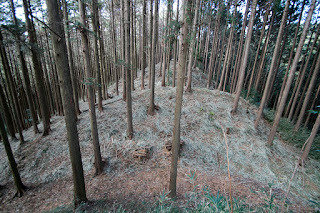 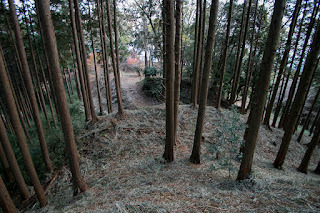 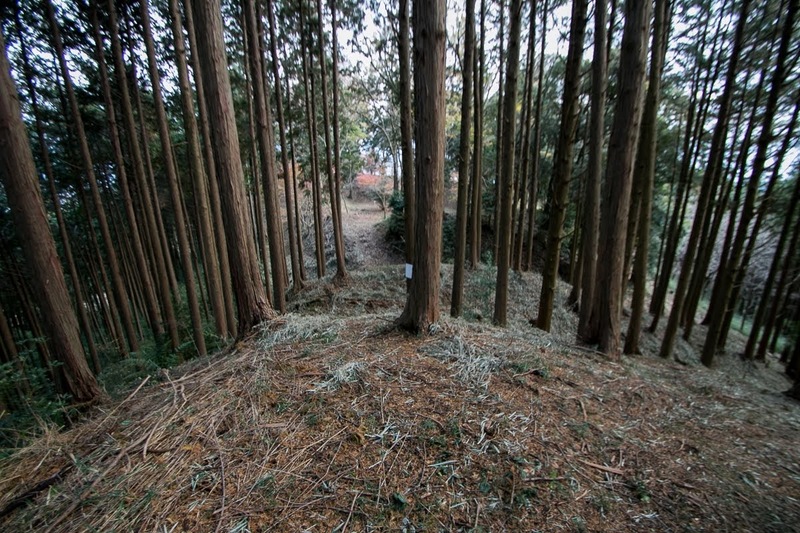 Kazurayamra clan is an old local lord of this area, and insisted that they were a descendant of central noble Fujiwara clan but the truth of this story is unclear. 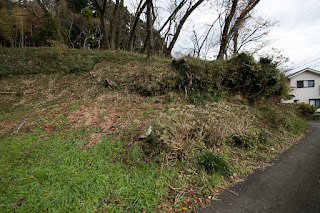 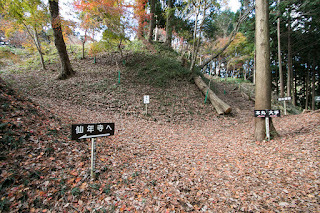 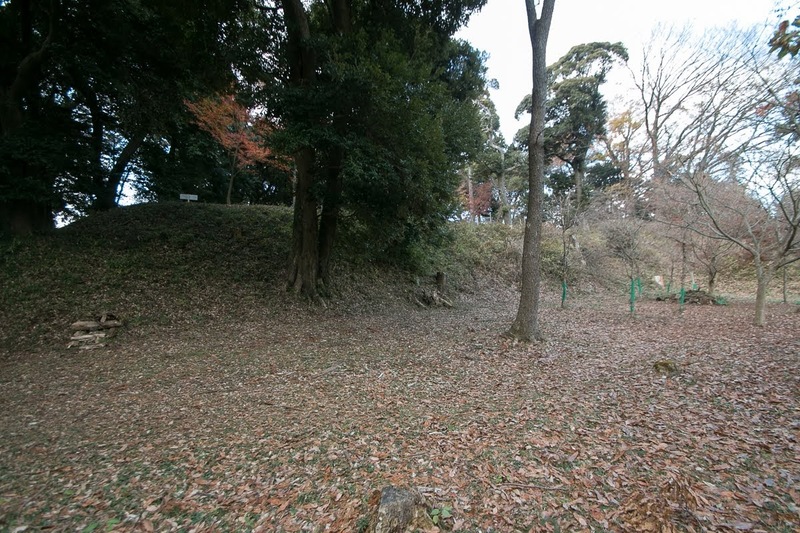 Anyway Kazurayama clan assisted Yoritomo Minamoto (1147-1199), the founder of Kamakura Shogunate, from early stage, and was approved their territory in this area from Shogunate and prospered. 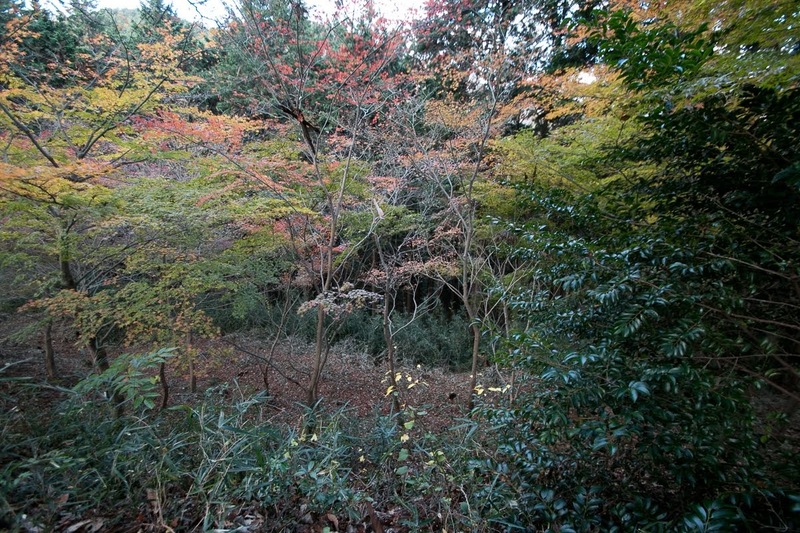 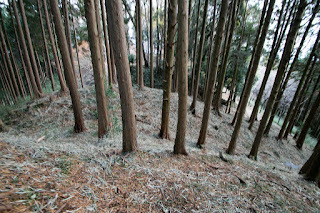 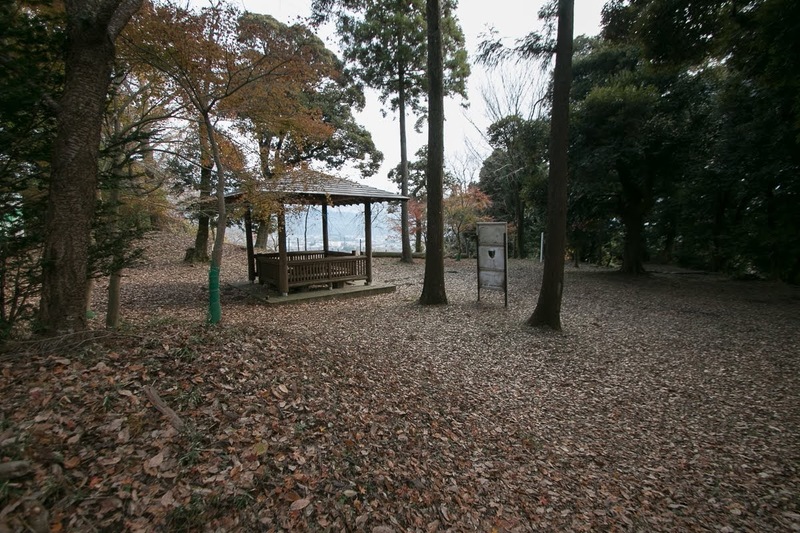 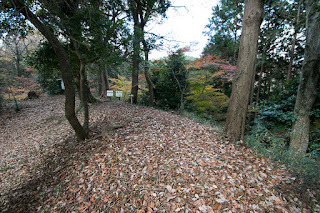 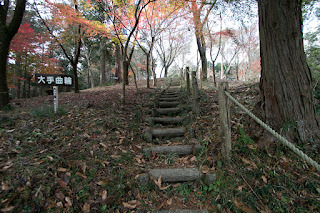 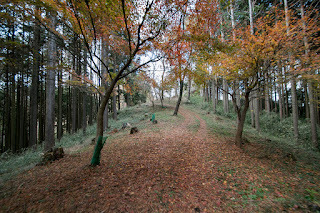 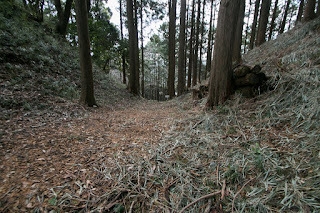 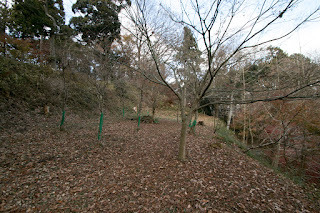 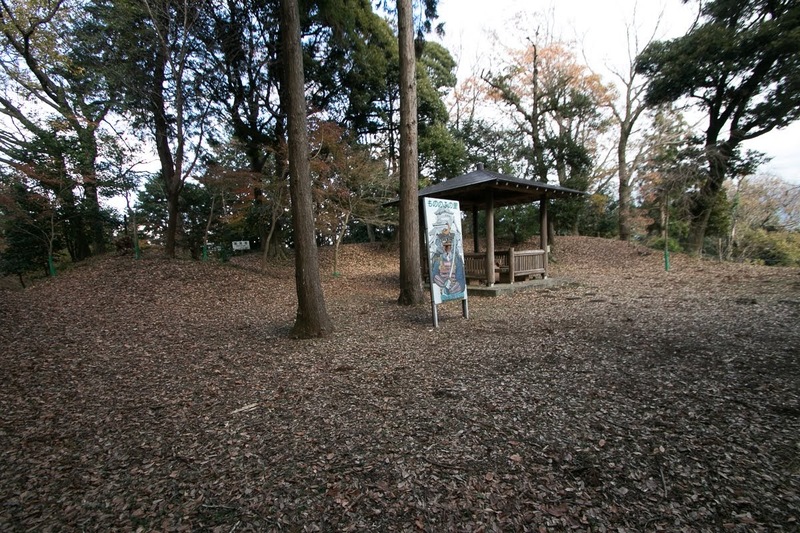 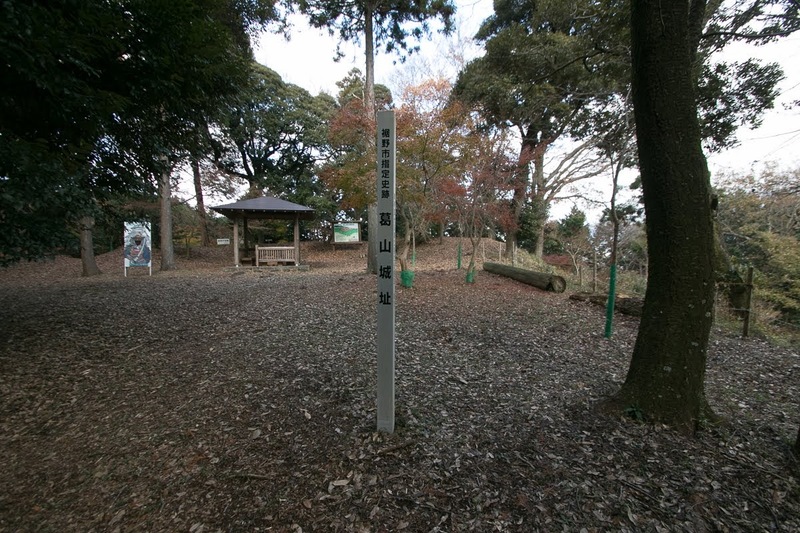 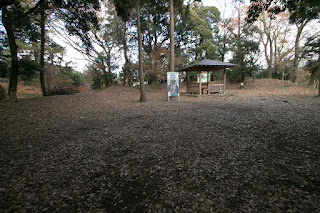 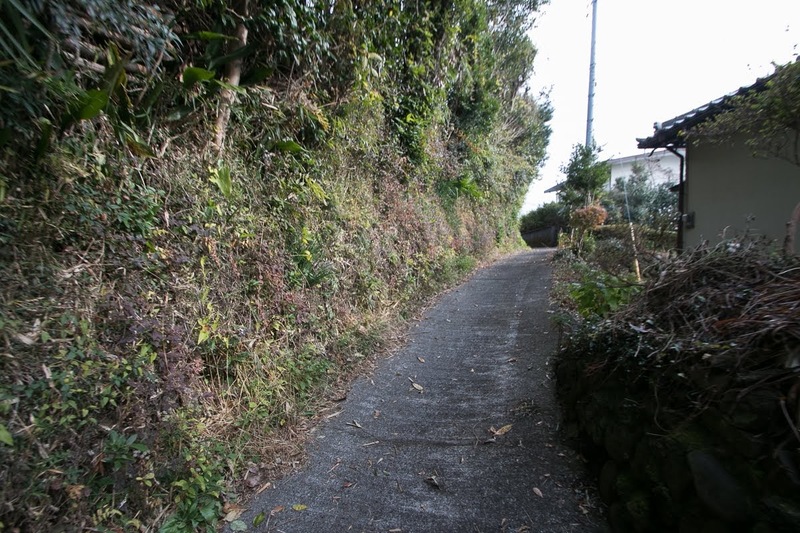 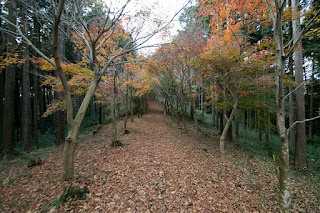 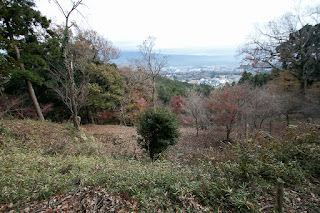 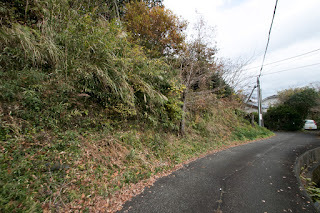 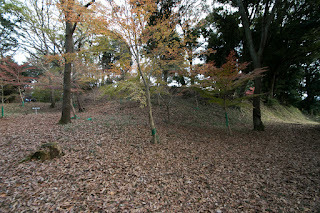 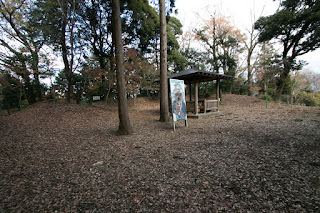 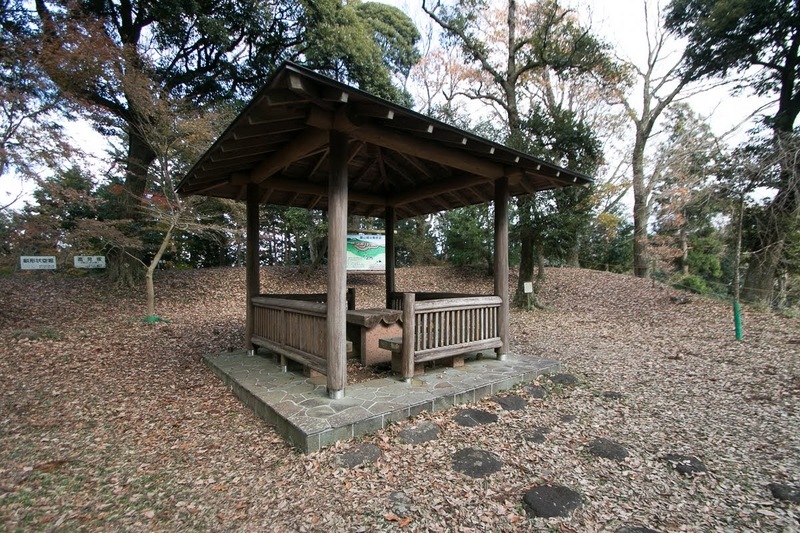 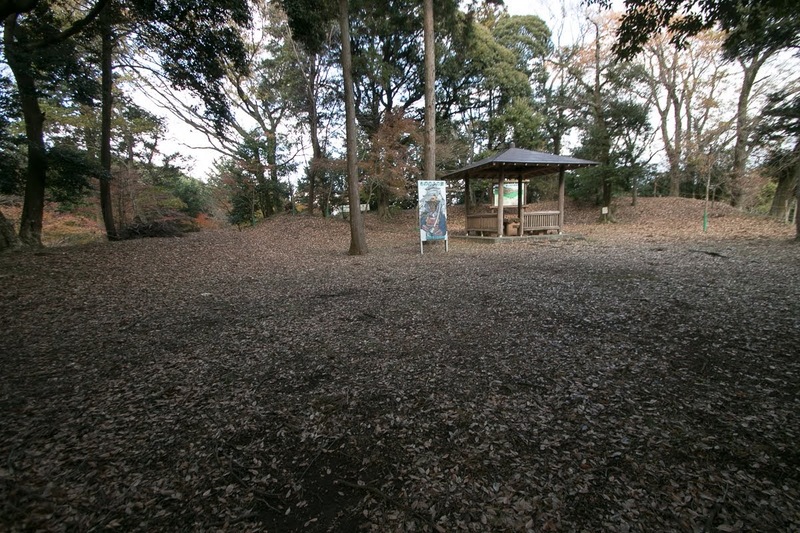 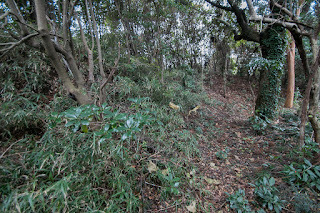 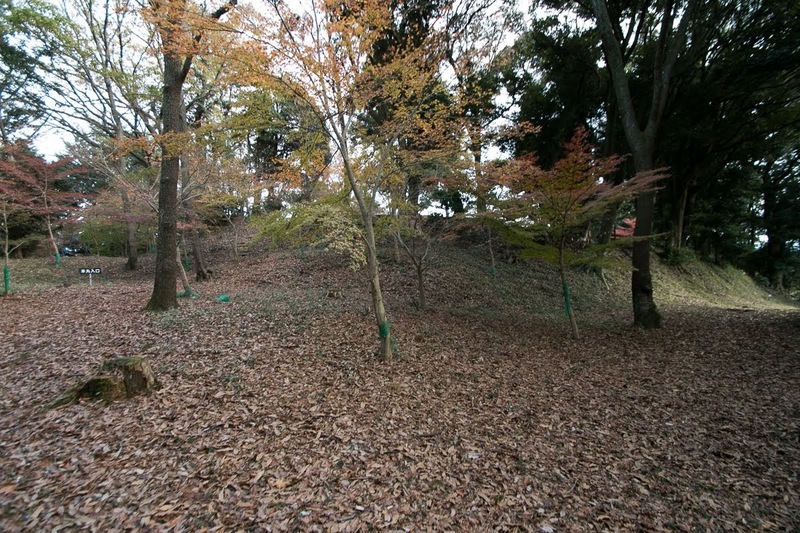 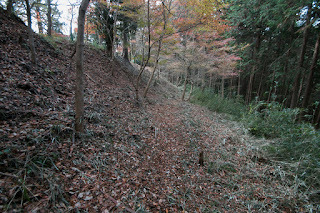 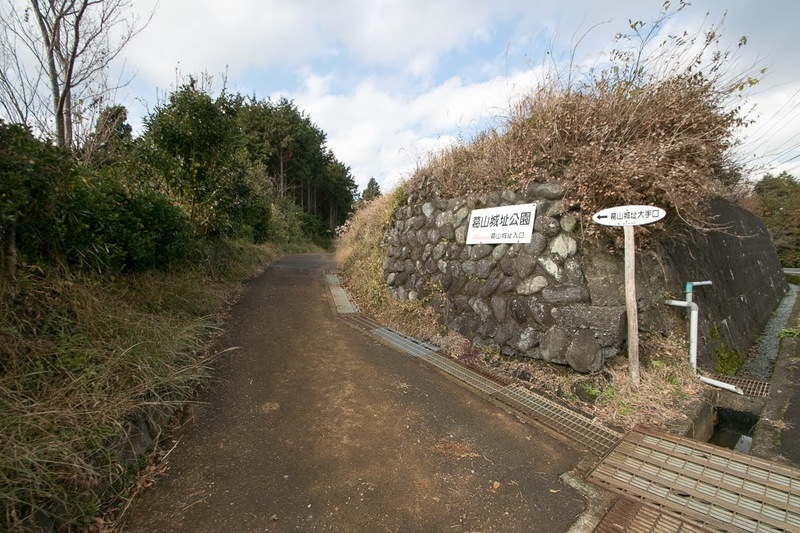 Also in Muromachi era Kazurayama clan was recognized as major local lord of this area, and selected as a direct retainer of Muromachi Shogunate. 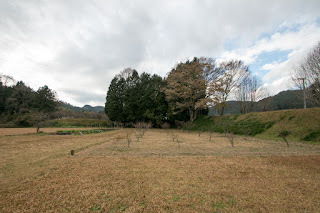 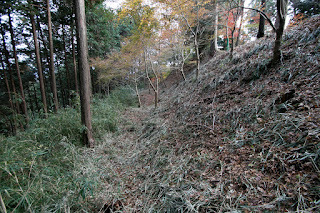 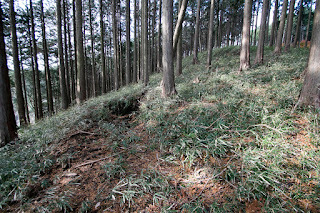 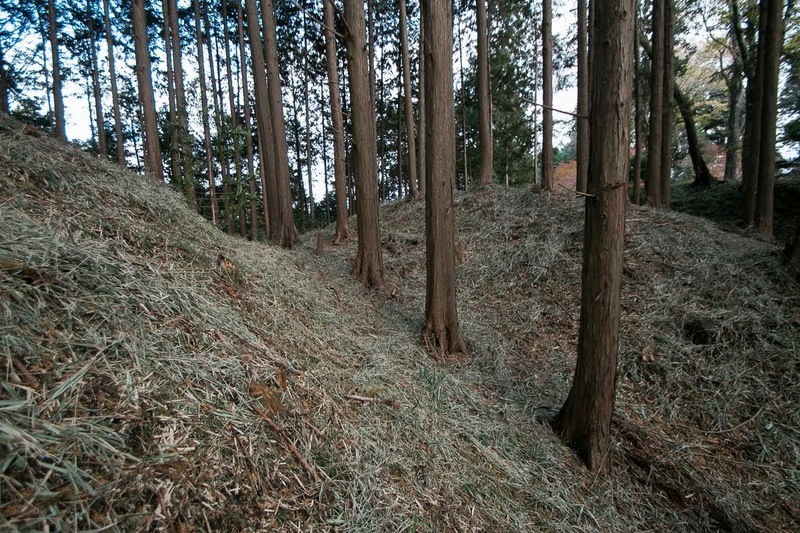 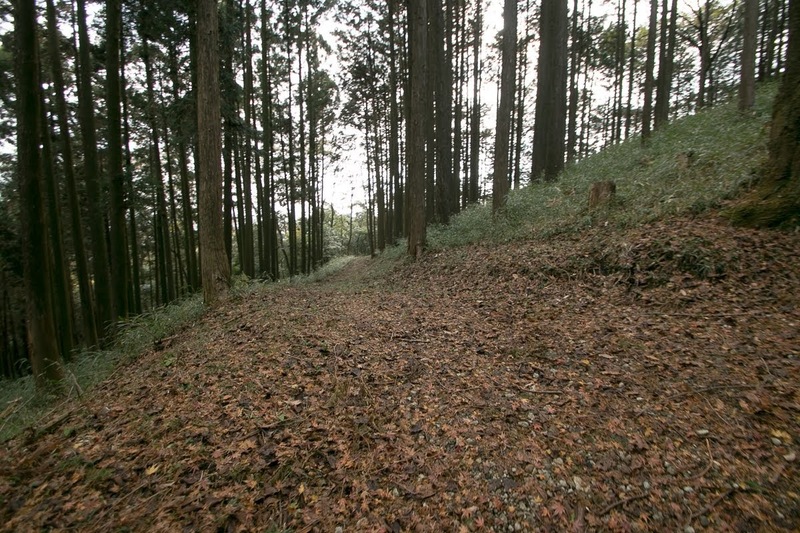 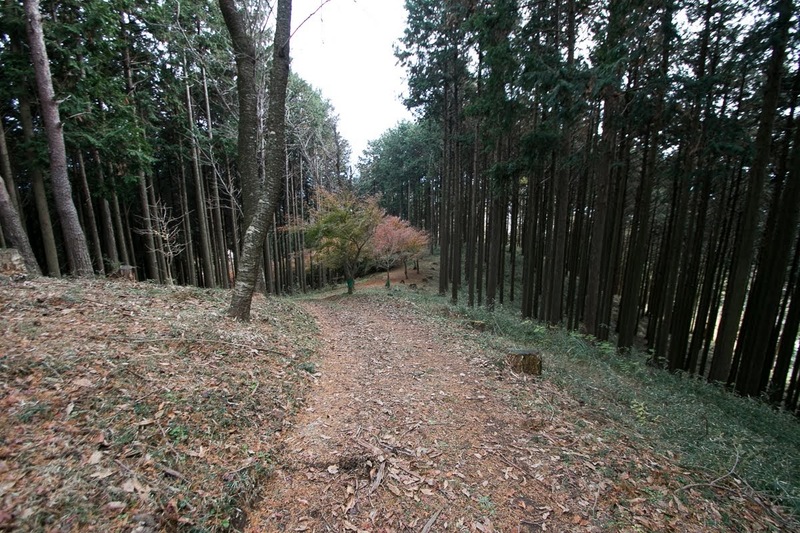 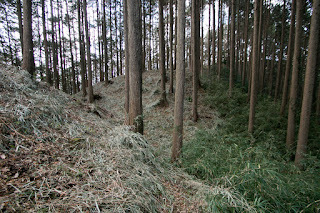 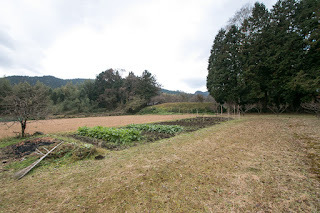 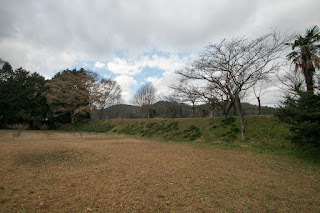 But Sunto area, the territory of Kazurayama clan had only narrow flat land then Kazurayama clan could have only limited power. 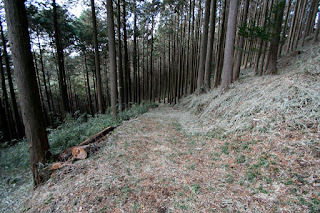 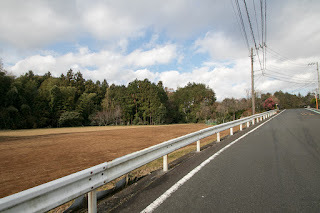 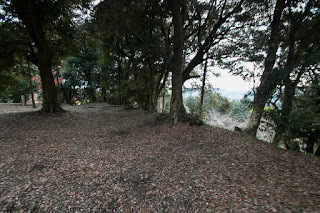 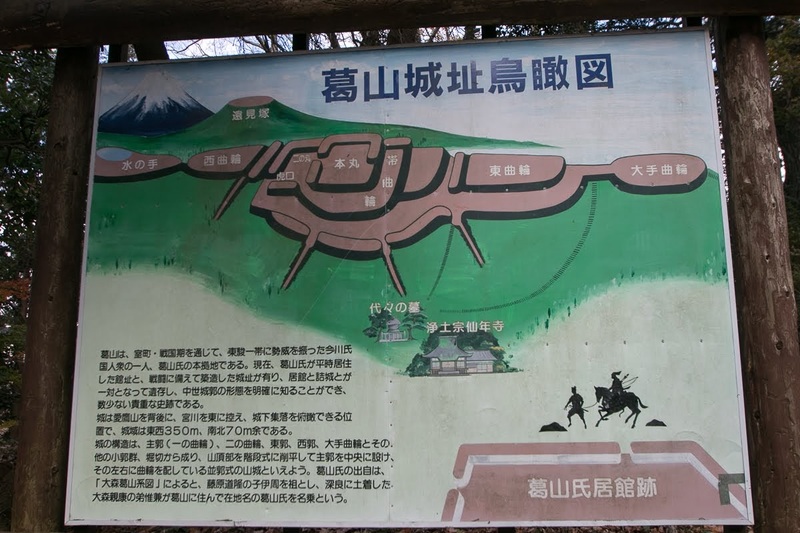 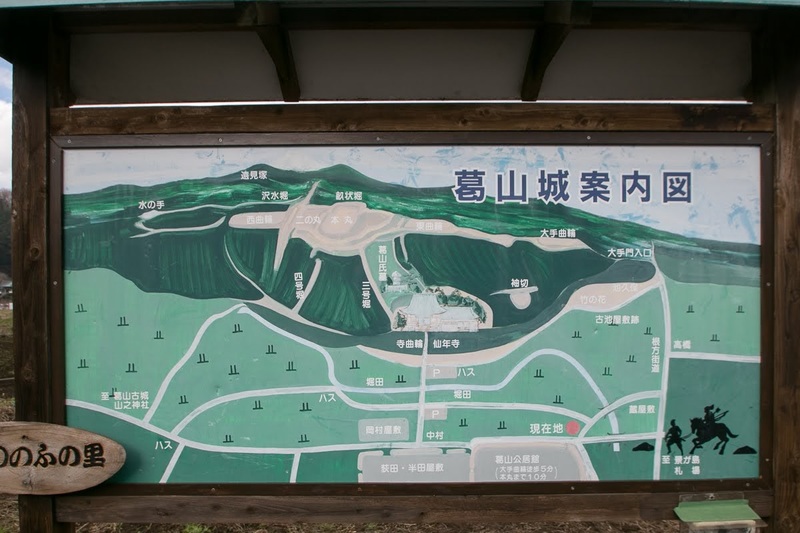 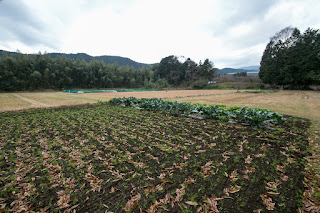 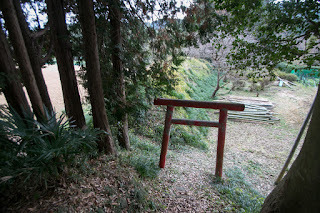 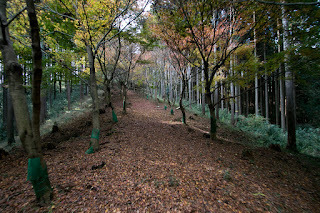 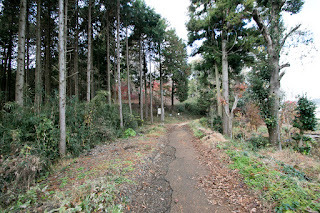 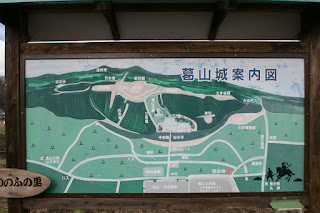 Further this area is a connecting point of Sagami country (Kanagawa prefecture), Kai country (Yamanashi prefecture) and Shizuoka area, and since the beginning of 15th century strong warlord such as Hojyo clan, Takeda clan and Imagawa clan arouse at these areas. 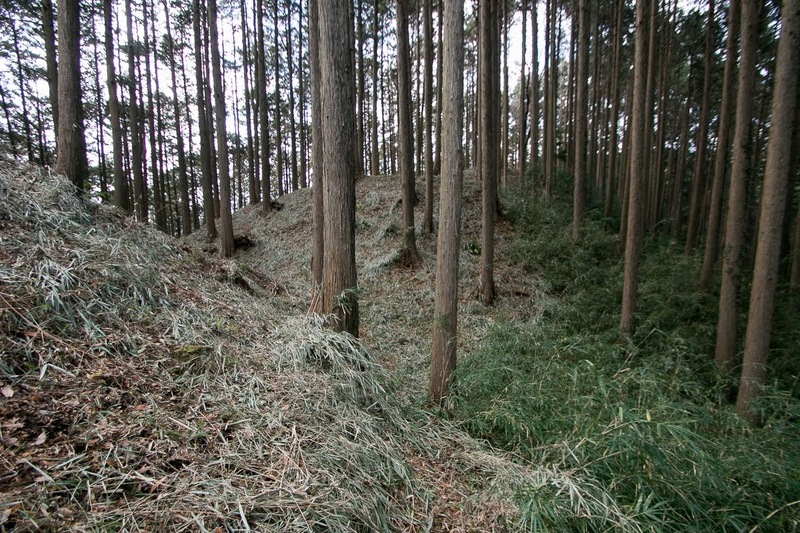 Without transforming into warlords, the fate of Katsuraya clan was strongly affected by these warlords. 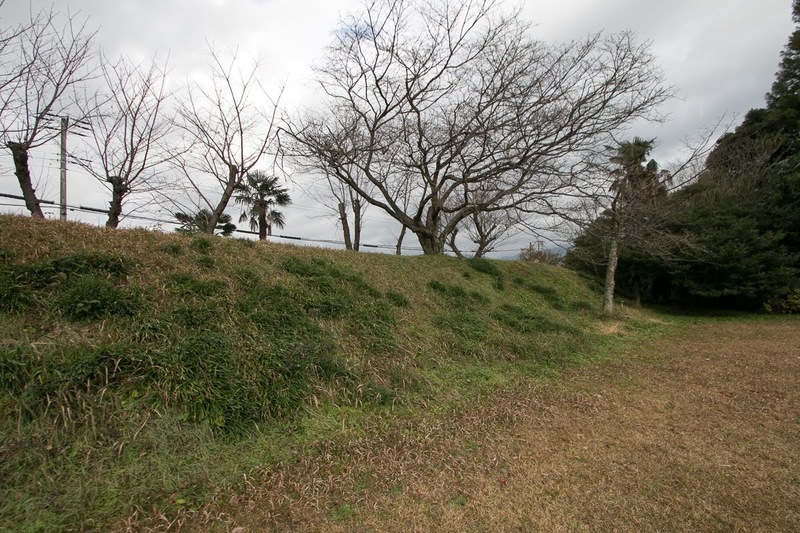 At the beginning of Sengoku era, the belonging of small lords at the border were ambiguous, and sometimes they subordinated to two powers at once. 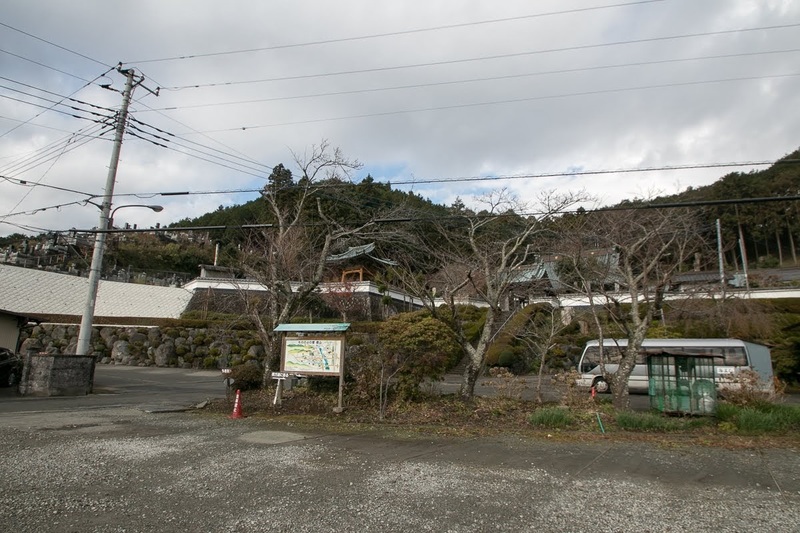 Same matter is seen at Oyamada clan, a local lord of east part of Kai prefecture (Yamanashi prefecture) located between Takeda clan and Hojyo clan. 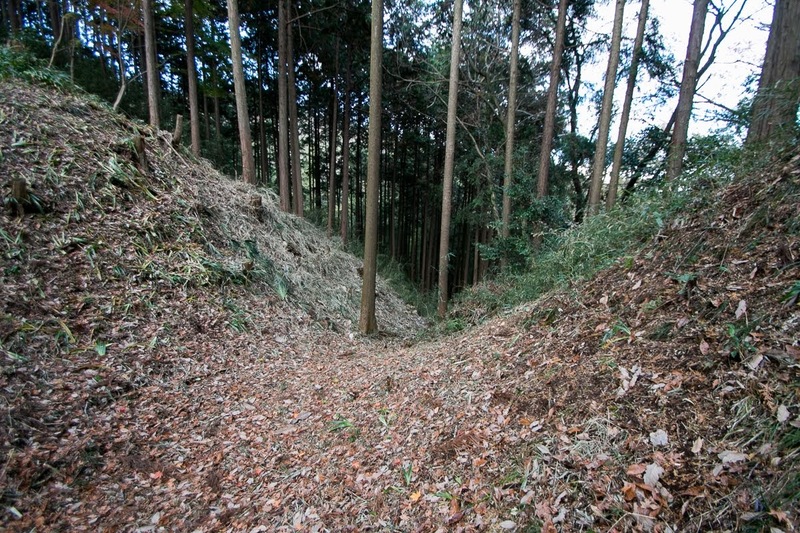 Warlords also had to admit this situation, as long as such border lords does not make hostile action to them. 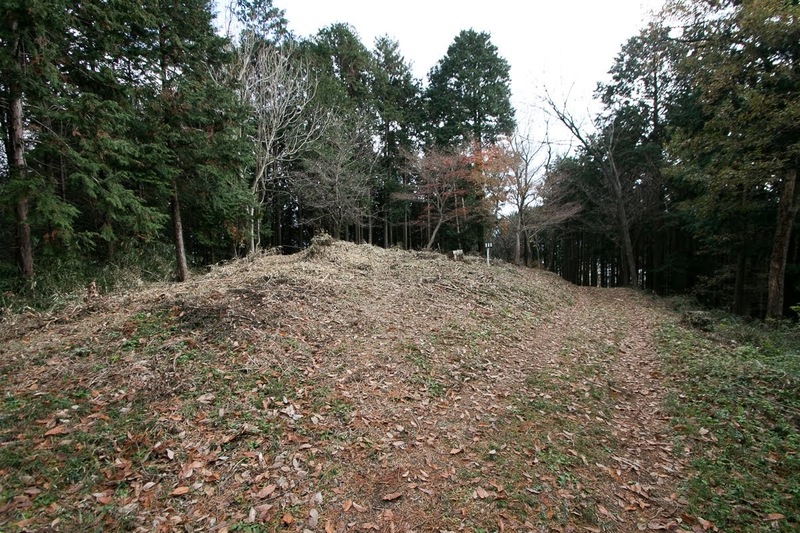 As Kazurayama clan was located at the border of Imagawa clan at Shizuoka area and Hojyo clan at Sagami country, they basically belonged to Imagawa clan but also had communication to Hojyo clan. 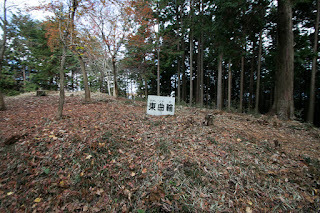 Ujihiro Kazurayama (?-? 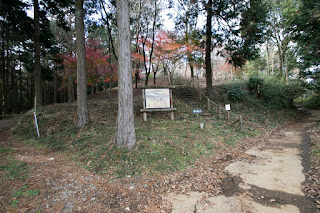 ), the leader of the clan at the beginning of 16th century, was said as a son of Souun Hojyo (1432-1519), the founder of Hojyo clan. 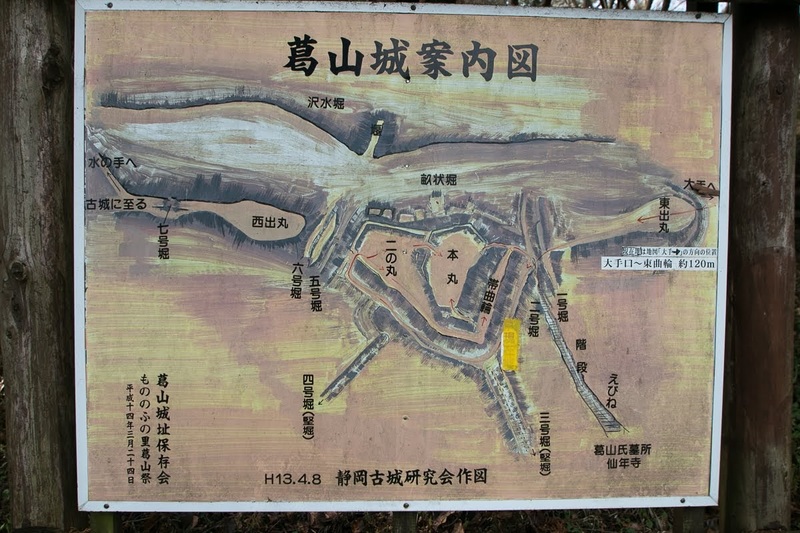 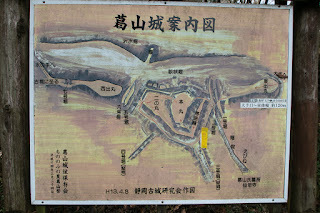 When Imagawa clan and Hojyo clan fought in 1540’s Kazurayama clan supported Hojyo clan, but under the triangle treaty among Hojyo clan, Imagawa clan and Takeda clan agreed at Zentokuji temple in 1554, Sunto area was returned to Imagawa clan and Kazurayama clan served to Imagawa clan again. 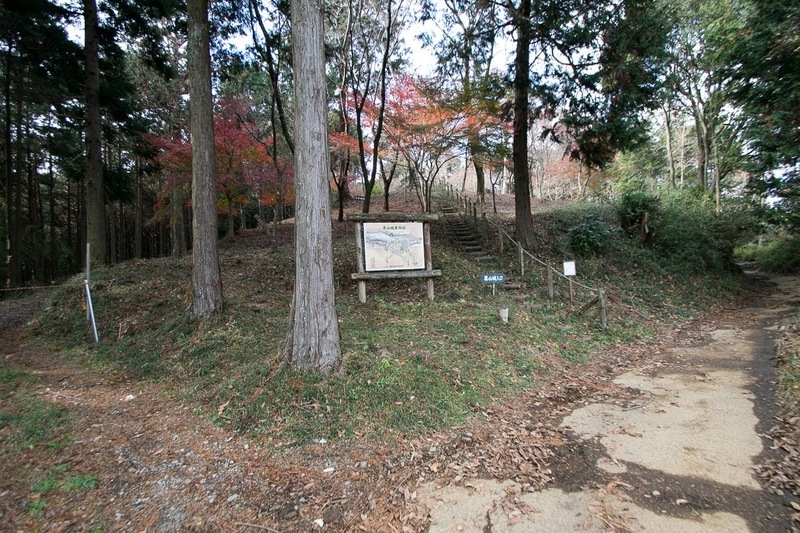 Under Yoshimoto Imagawa (1520-1560), Kazurayama clan became the one of the highest retainers of Imagawa clan and prospered. Kazurayama castle is built at the main territory of Kazurayama clan, located at a 2 kilometer long valley spread to east and west direction at the east slope of Fuji mountain. 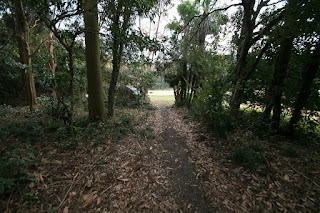 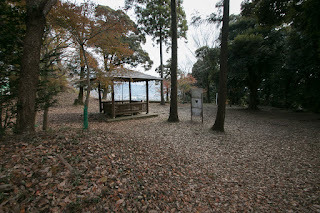 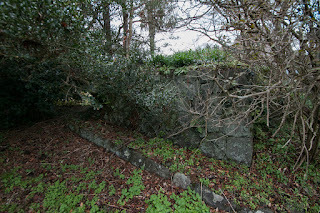 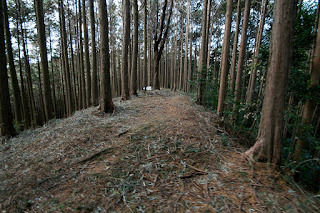 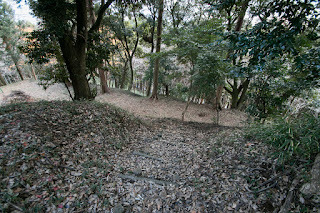 Surrounded its both side by hills and front side by river, this place was a secure place different world from outside. 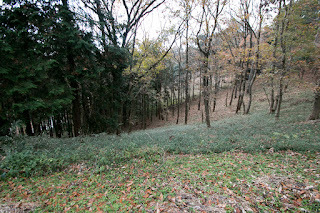 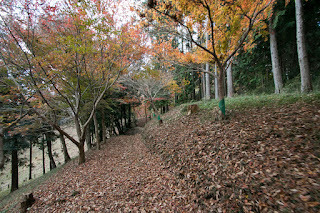 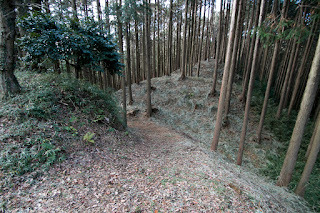 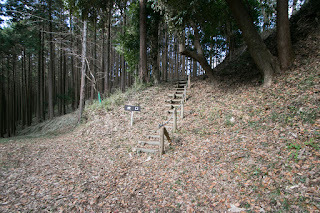 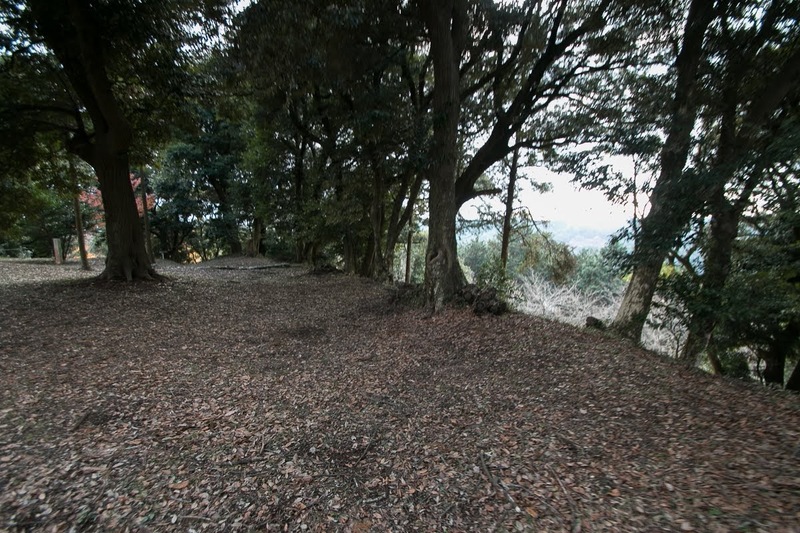 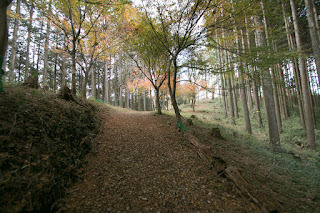 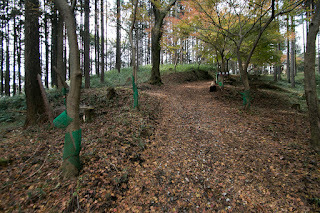 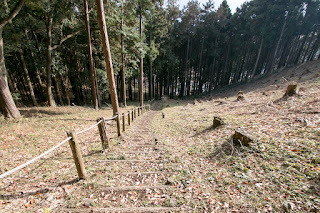 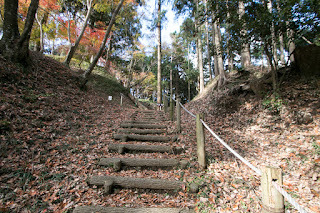 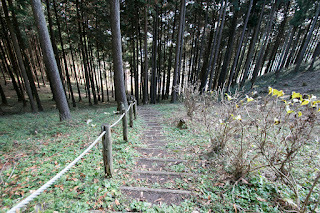 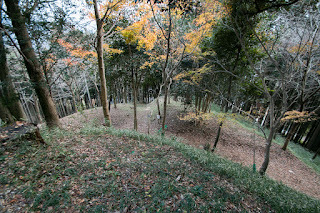 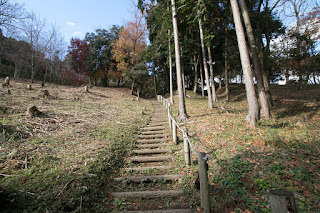 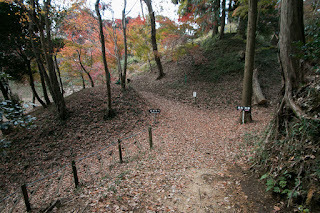 Kazurayama castle is built at the top of north hill, and there is also a inner castle used for evacuation at the top of connecting mountain. 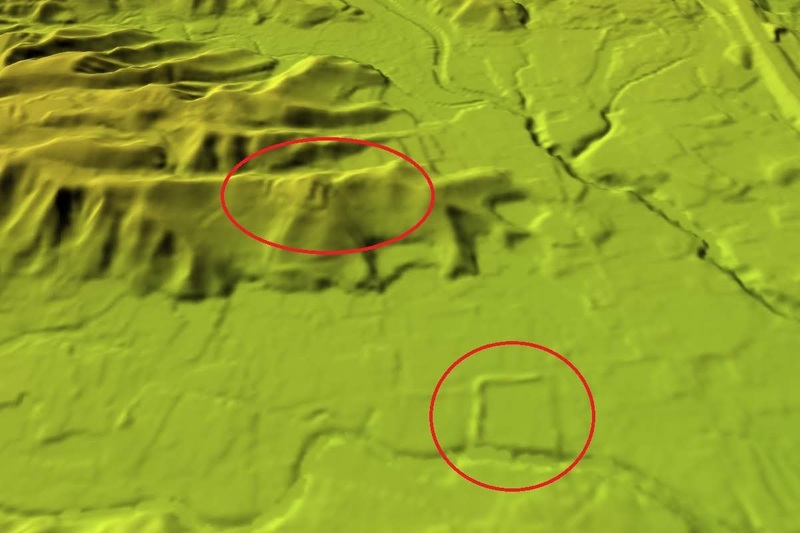 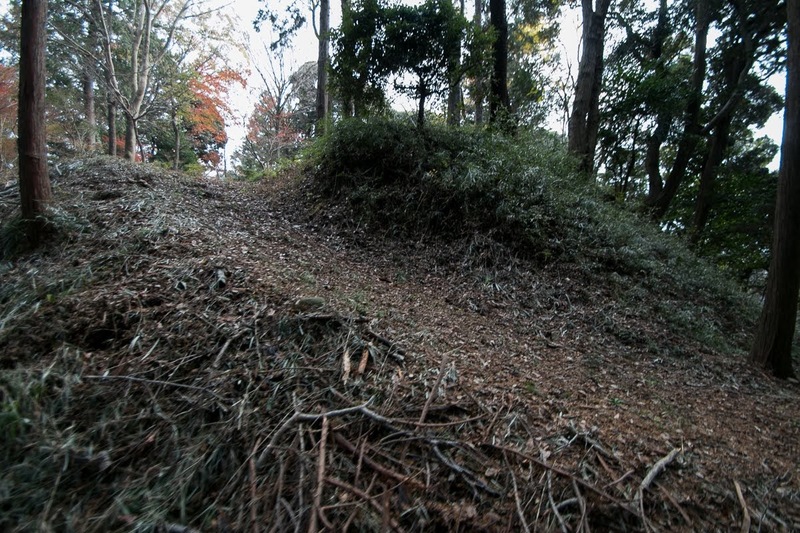 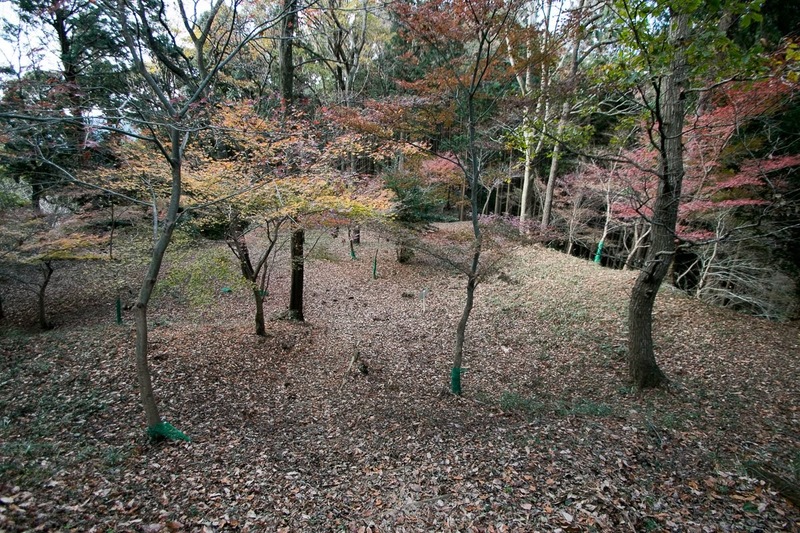 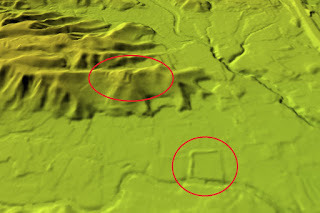 Several areas are built at the peak and ridge, and they are separated by deep dry moats. 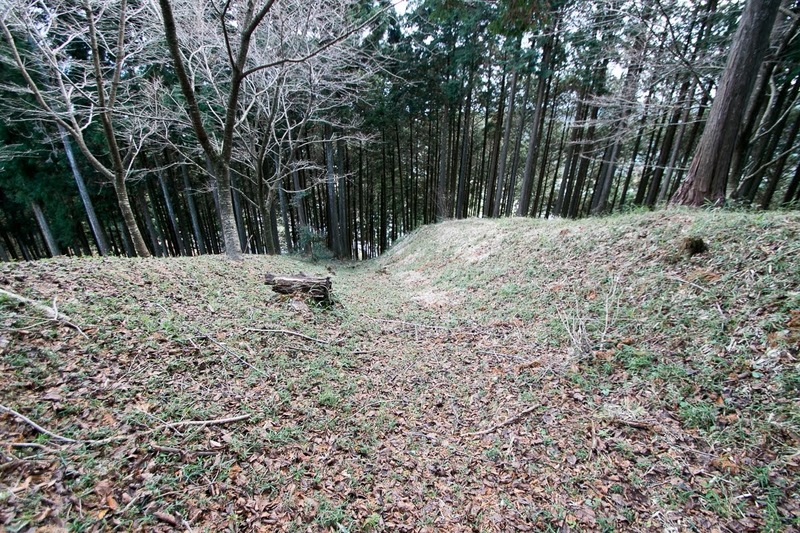 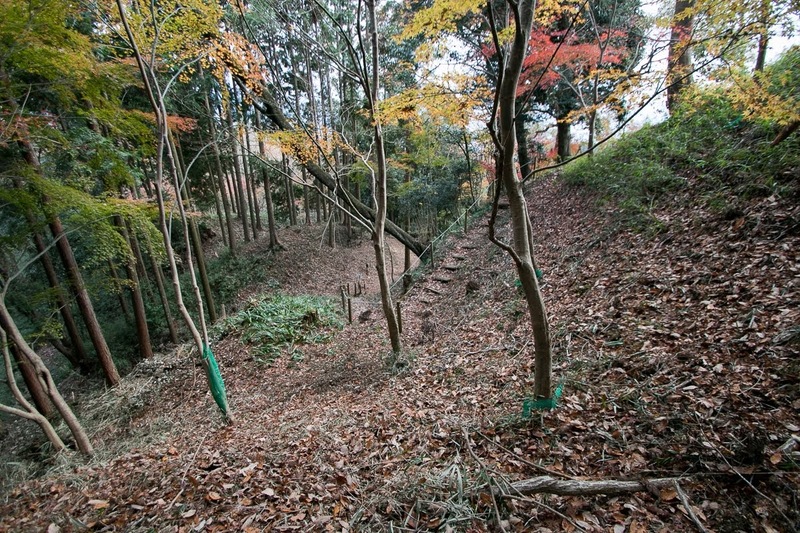 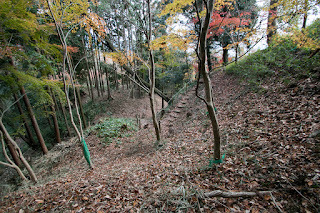 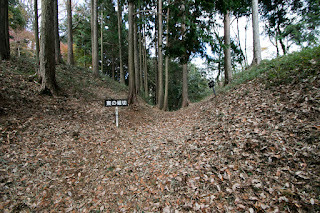 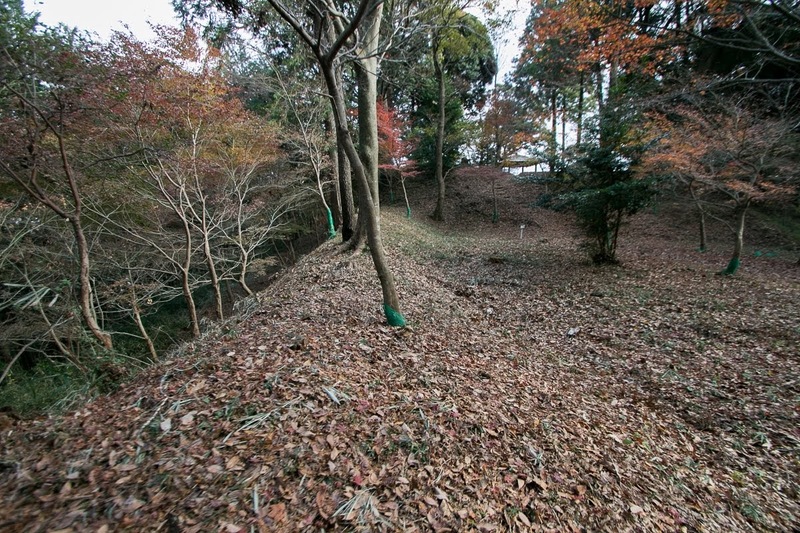 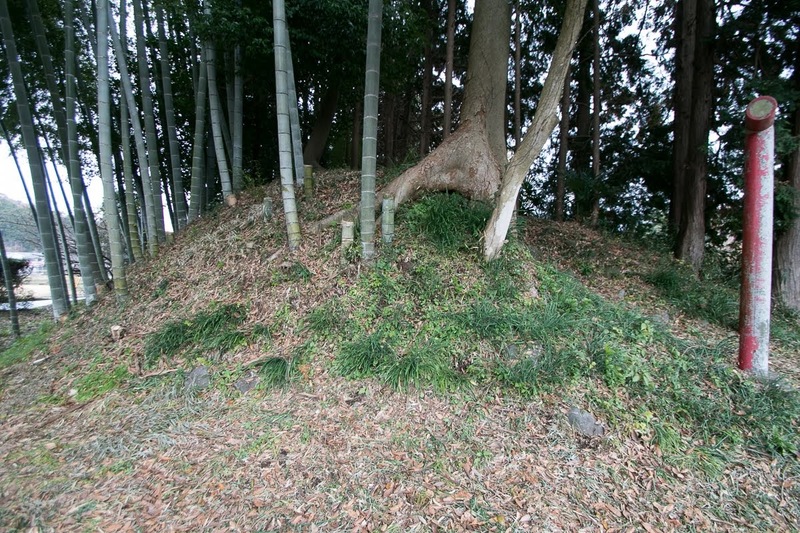 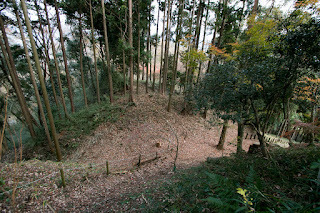 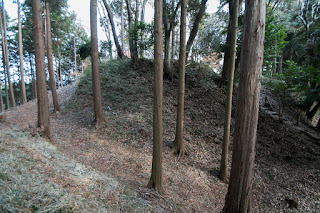 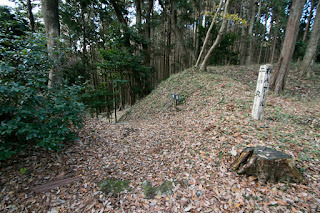 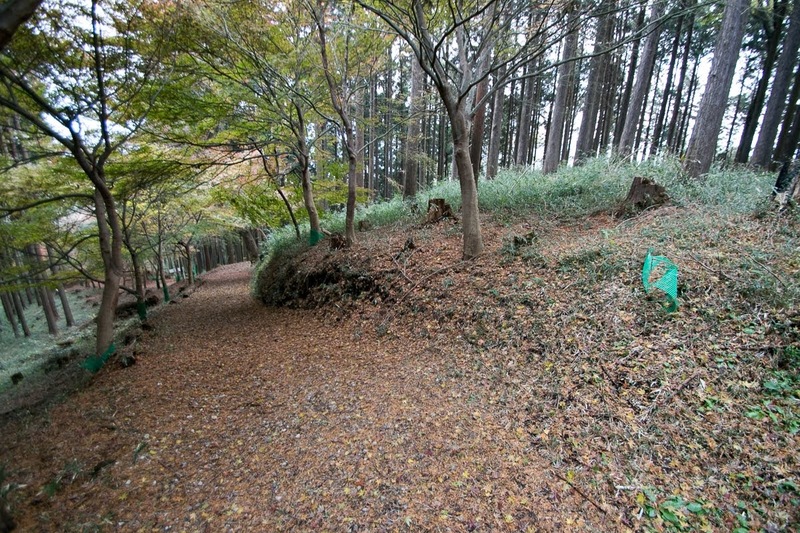 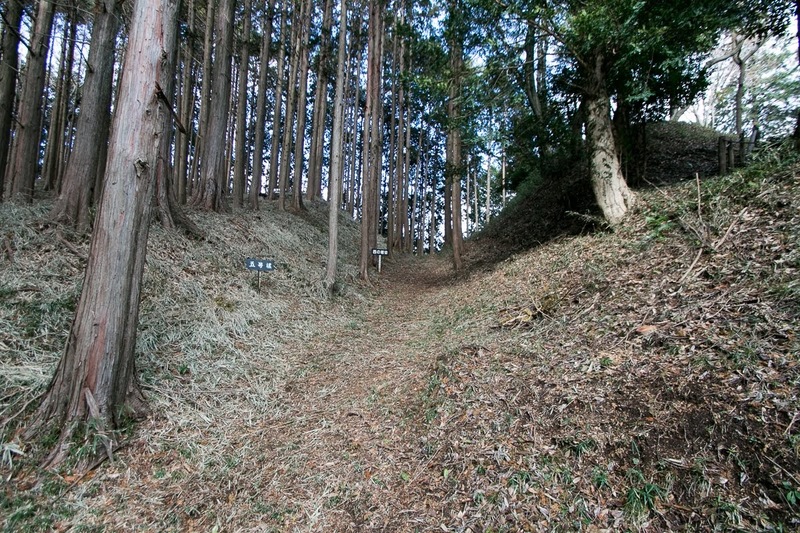 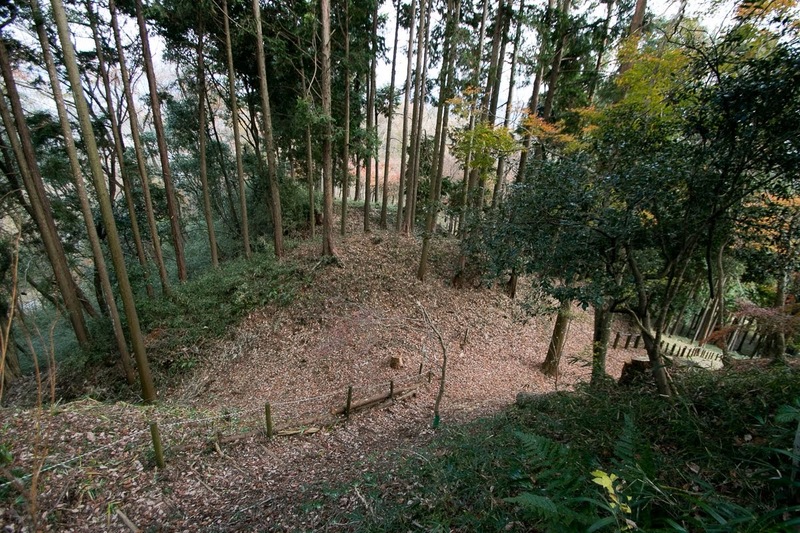 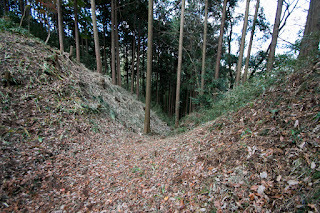 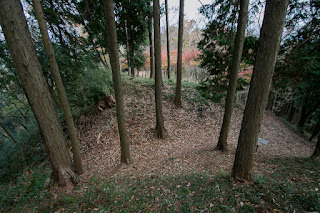 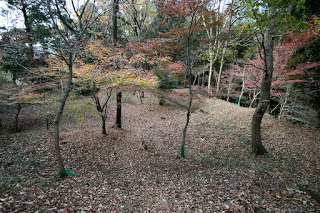 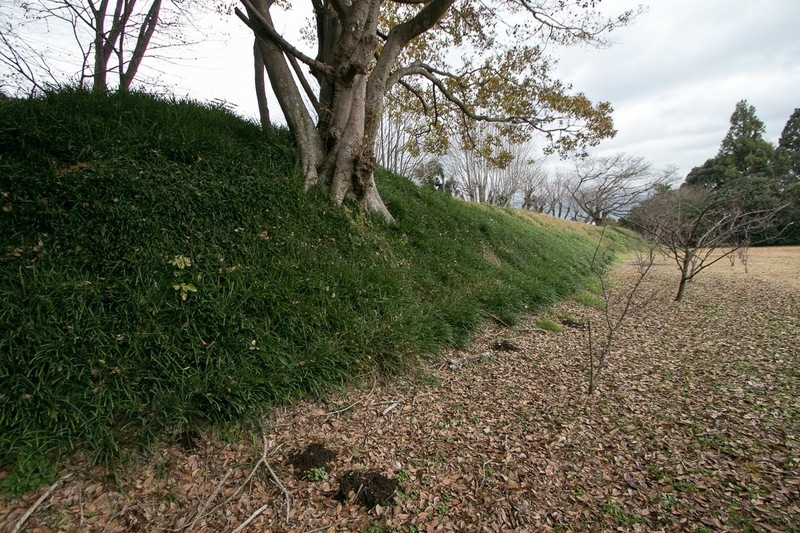 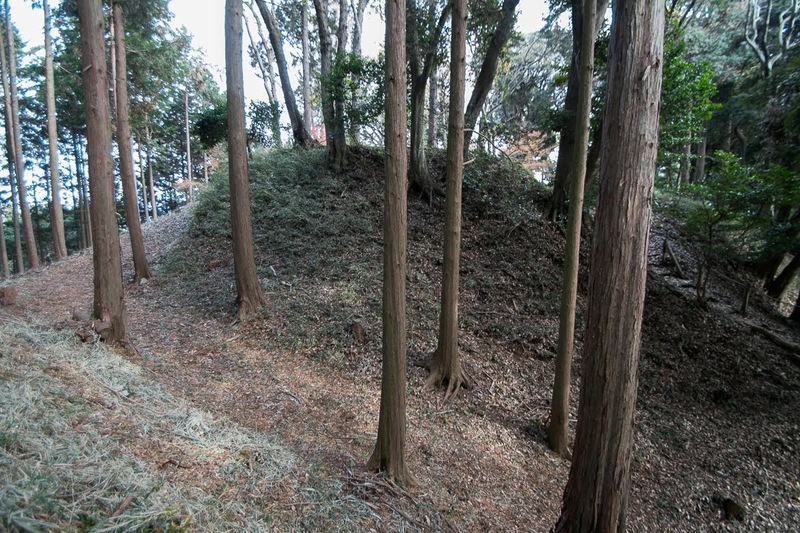 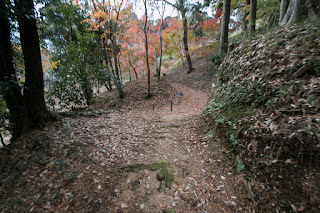 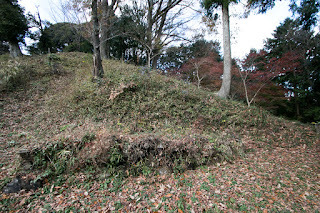 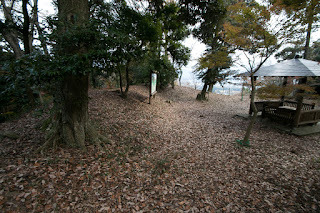 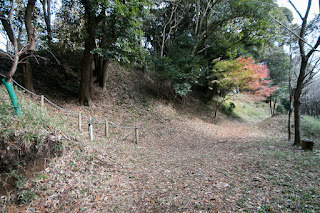 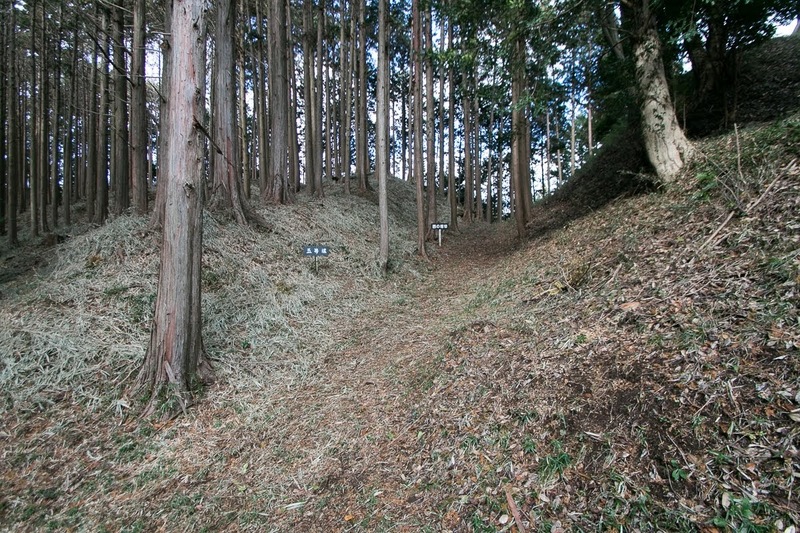 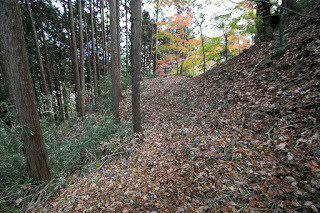 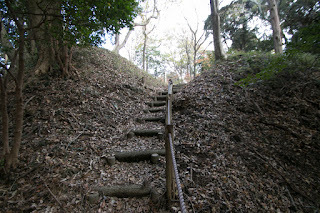 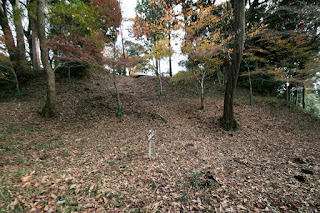 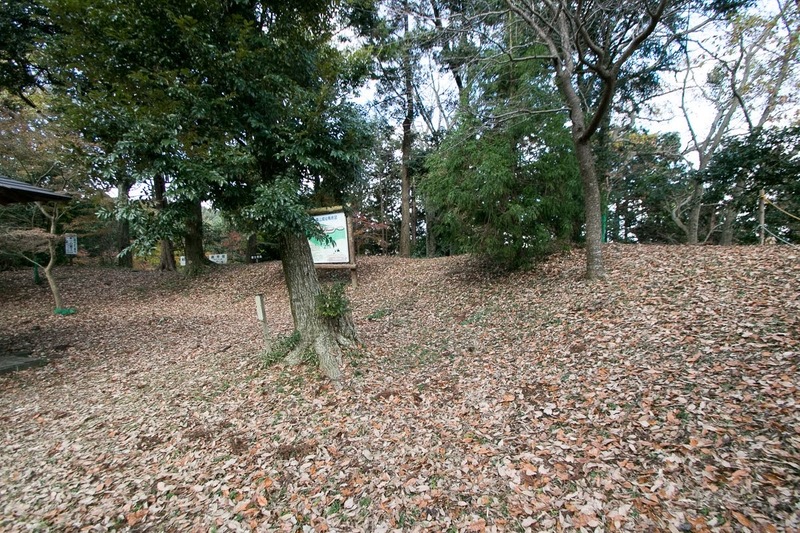 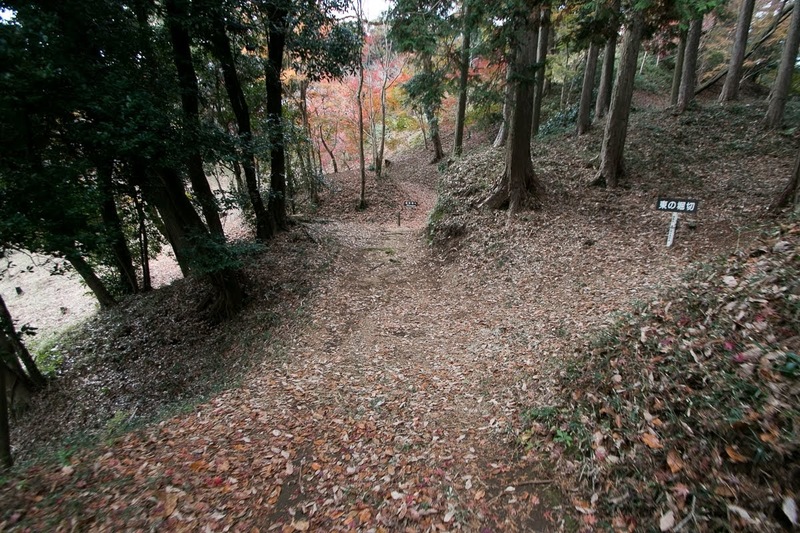 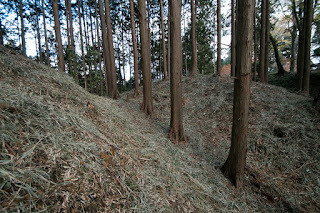 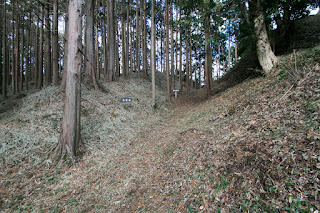 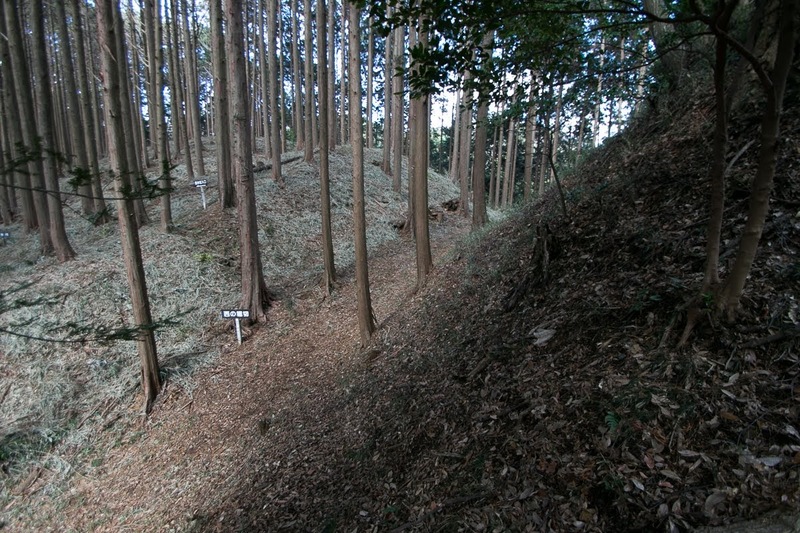 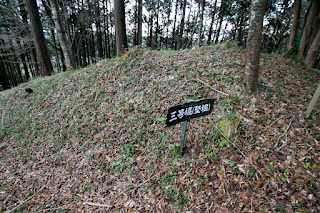 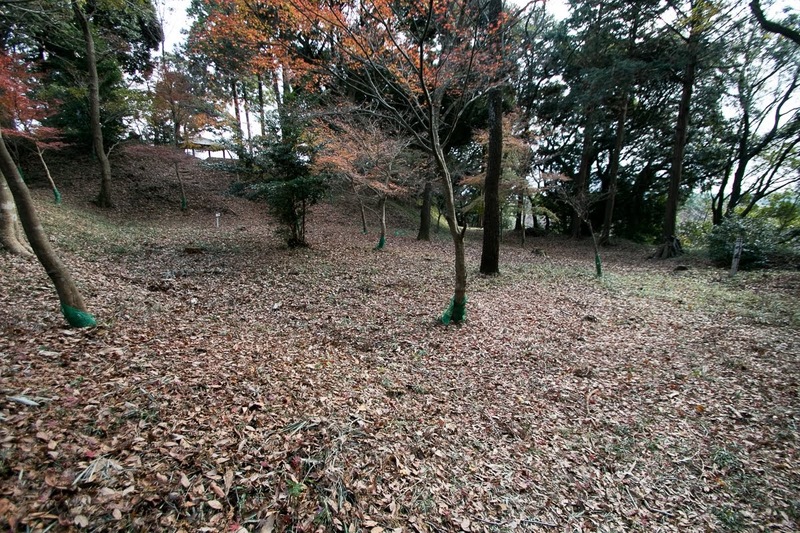 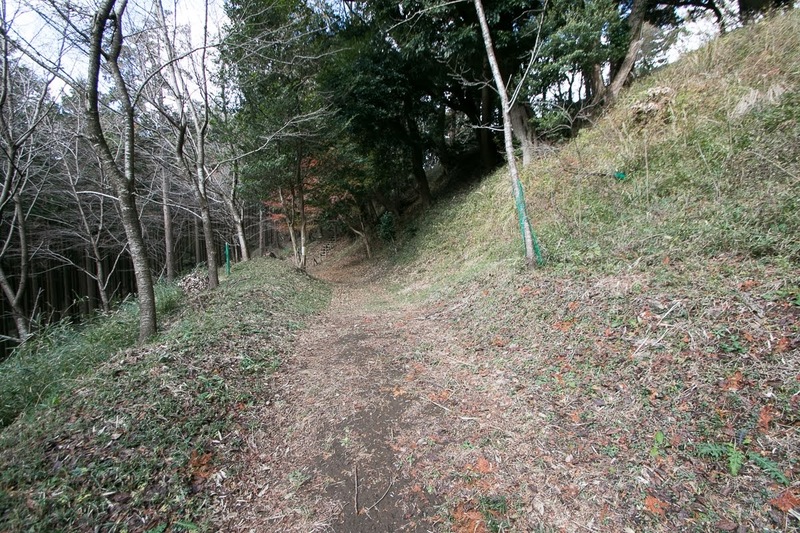 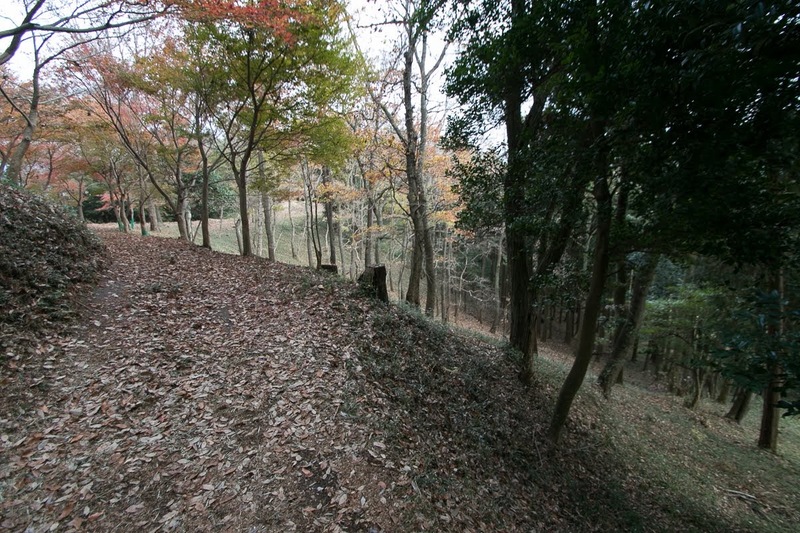 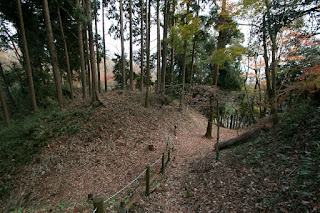 The slope of the hill is covered by continuous vertical moats to prevent the movement of enemy soldiers, and a terrace for residence is built just below the castle. 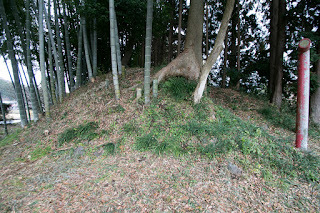 Even though not large, but this castle was secure one guarded by strong defense facilities. 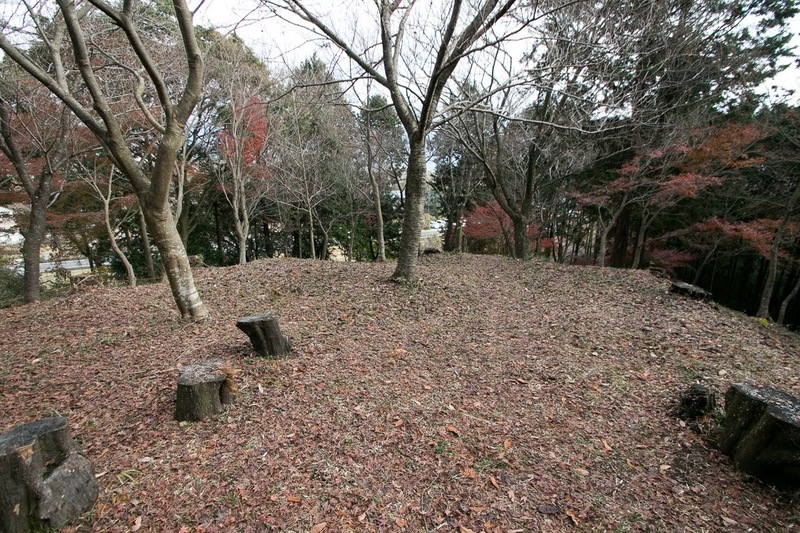 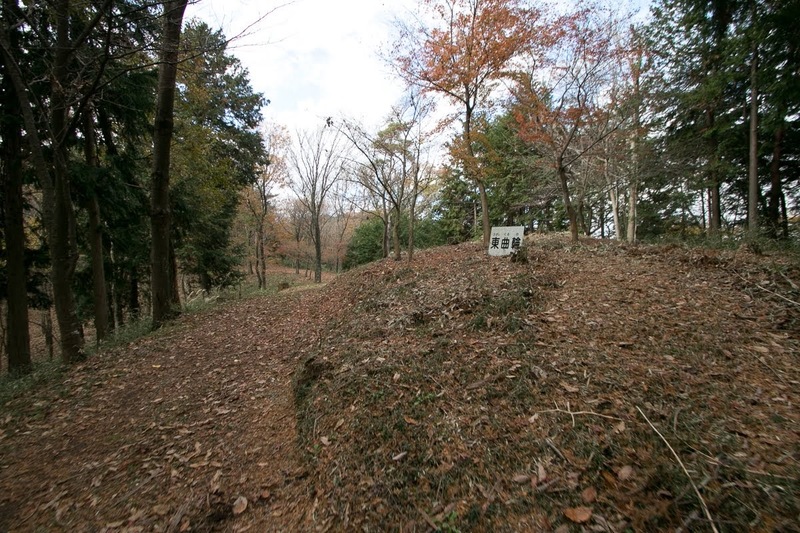 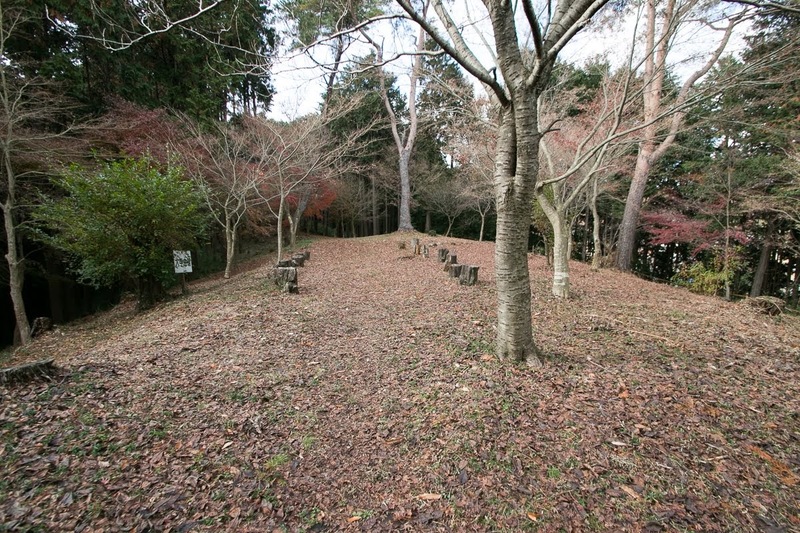 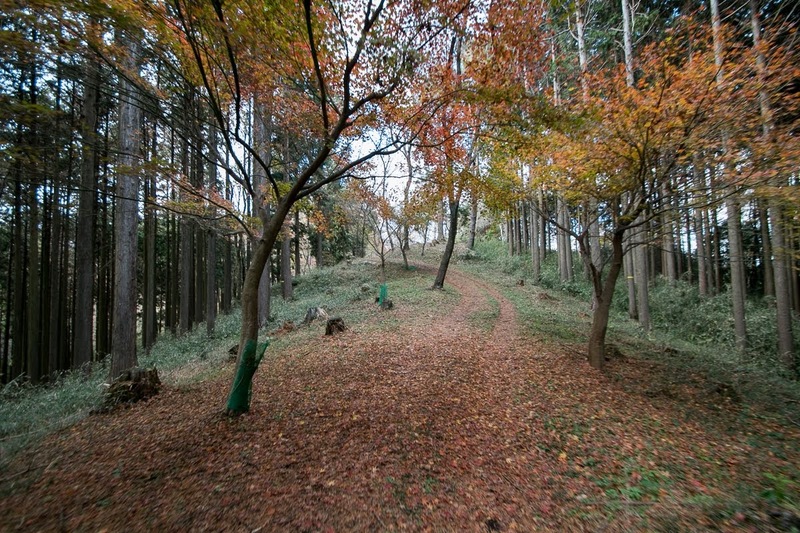 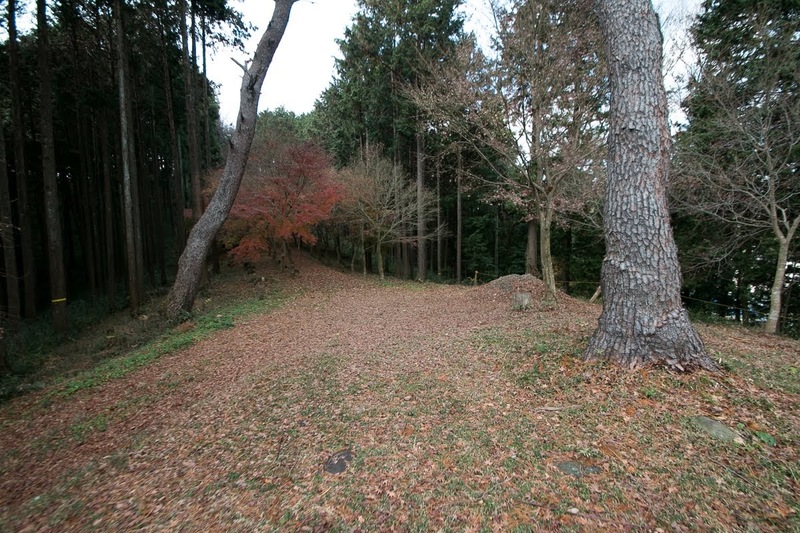 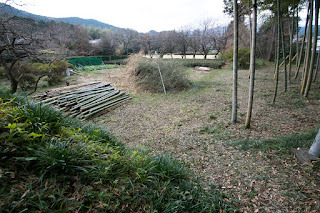 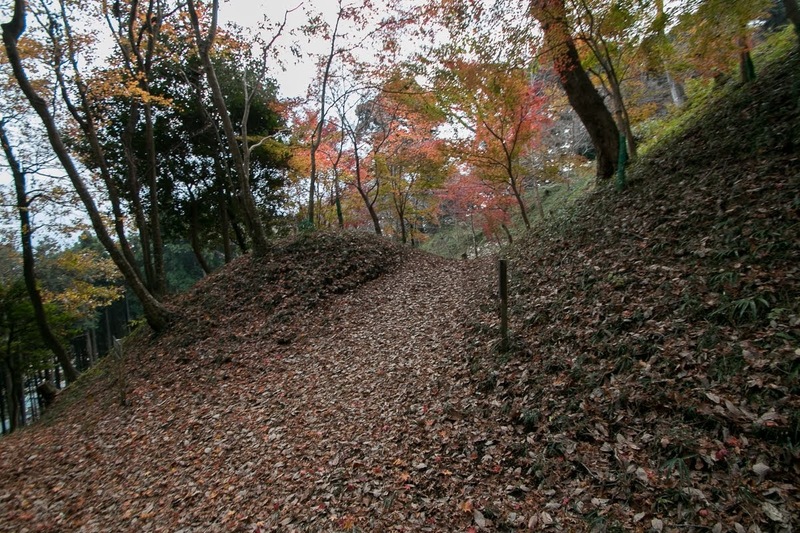 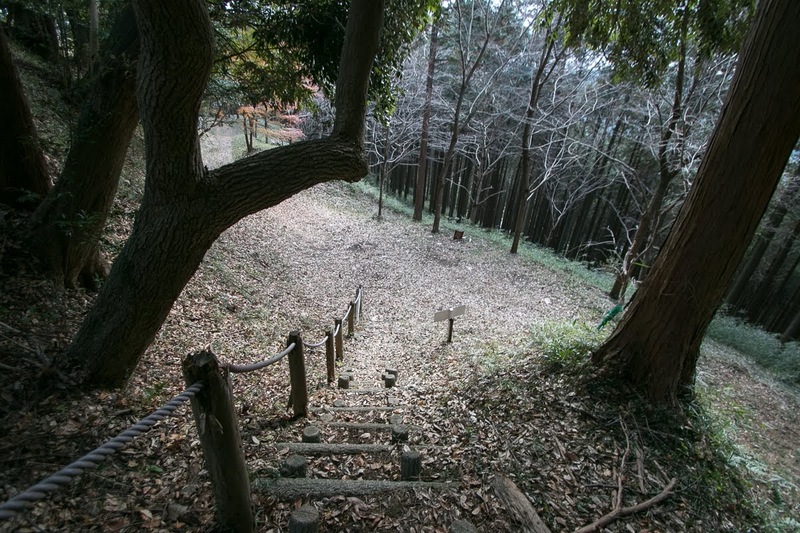 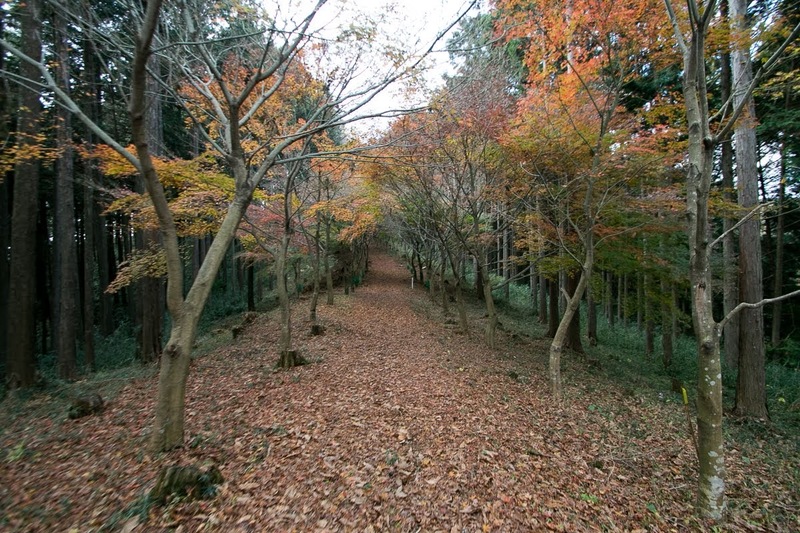 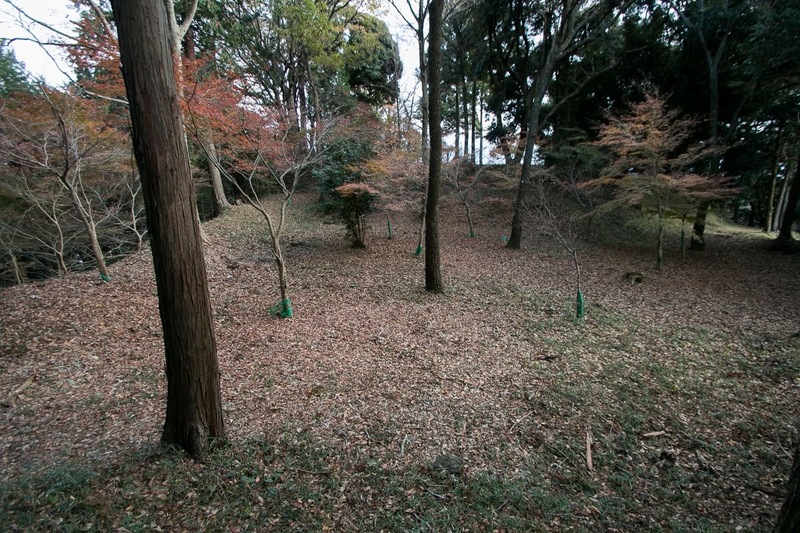 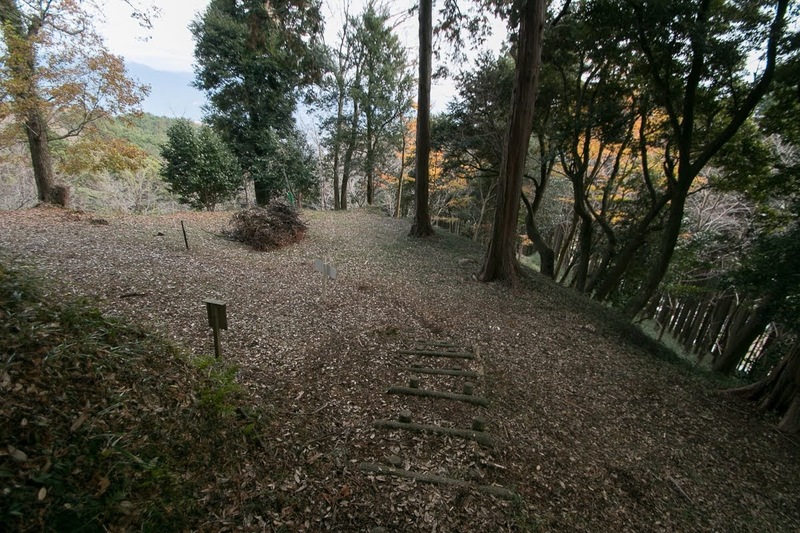 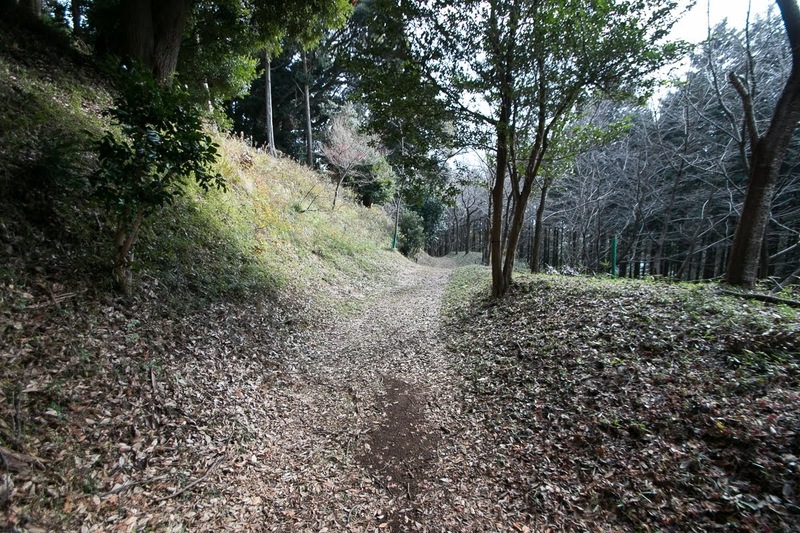 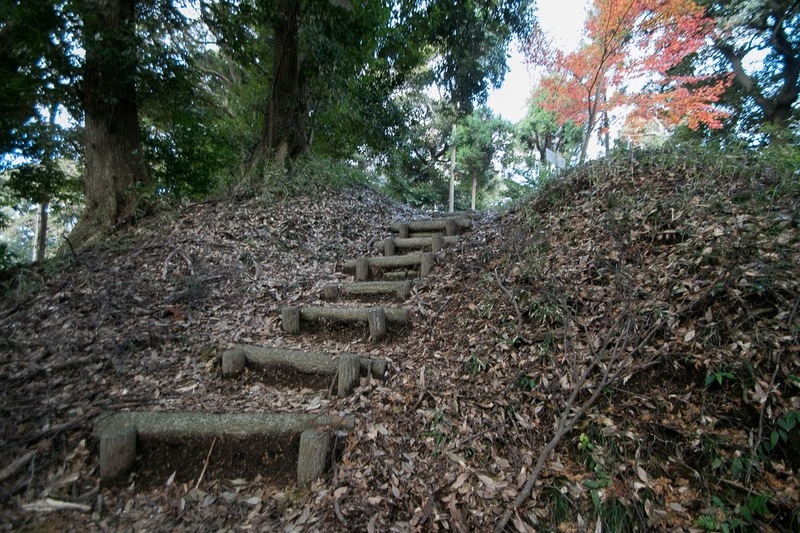 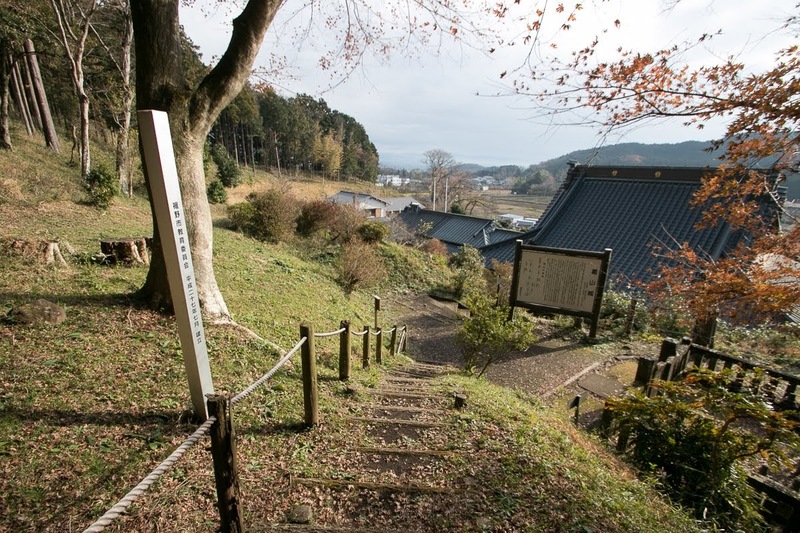 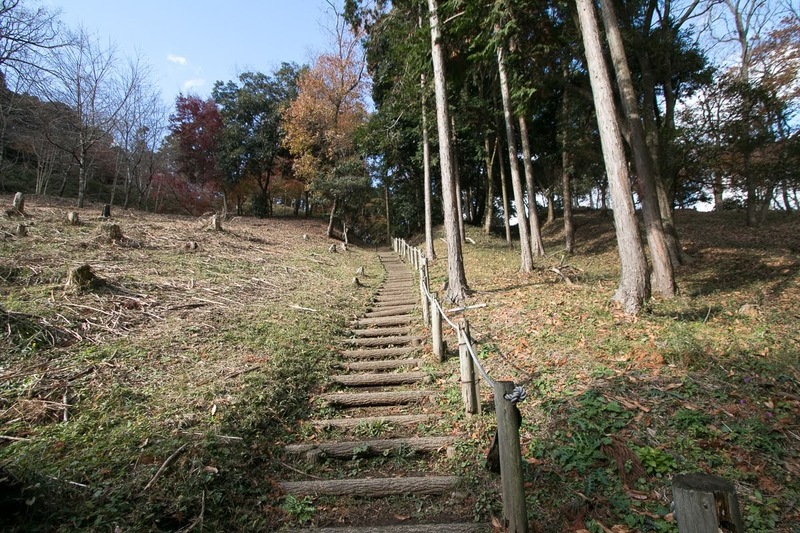 In addition to this, at the center of the vally there was an imposing residence of Kazurayama clan (Kazurayama clan residence) which was built in traditional square style and 100 meter long , and also houses of important retainers existed beside the residence. 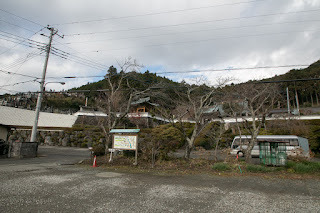 Many old temples and shrines also remain in the valley, deserve to the main base of major local lord. 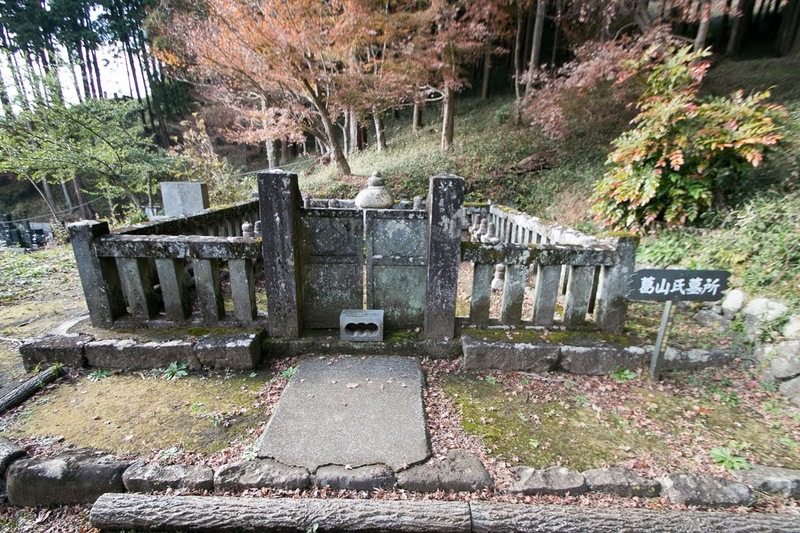 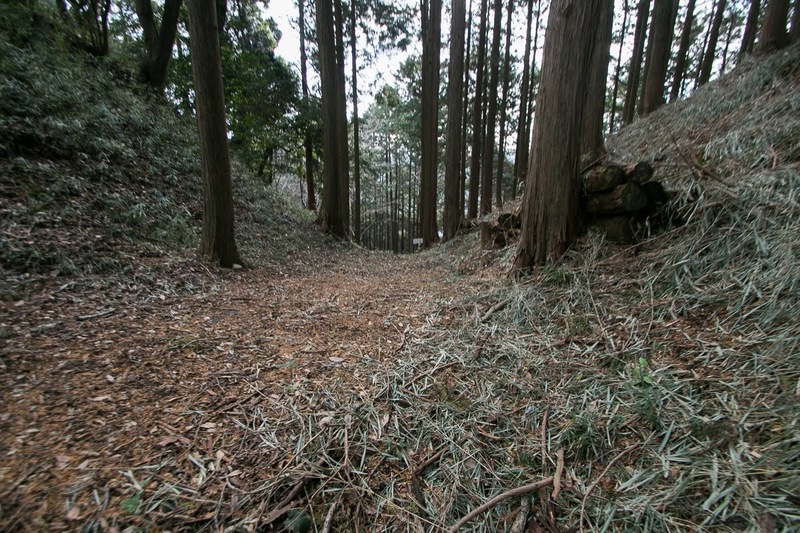 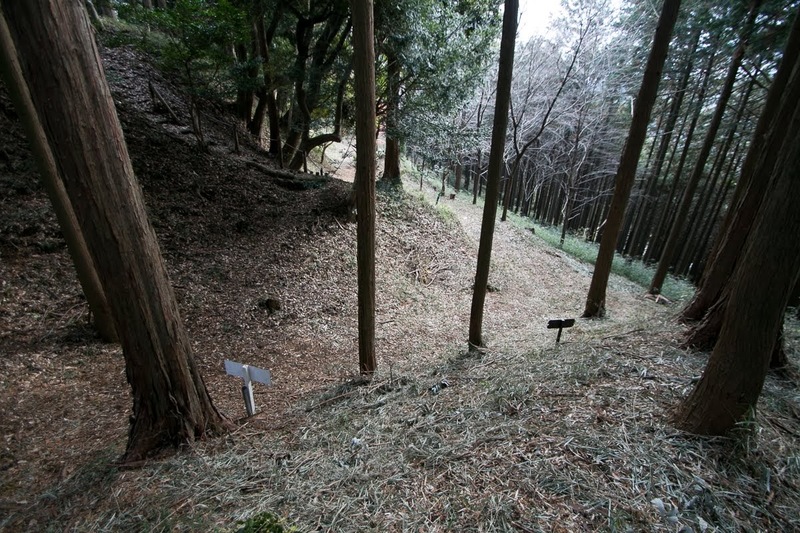 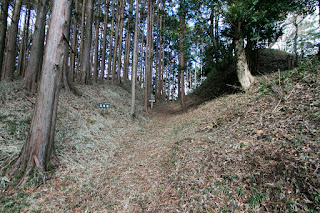 But the fate of Kazurayama clan had changed after the death of Yoshimoto at the battle of Okehazama in 1560. 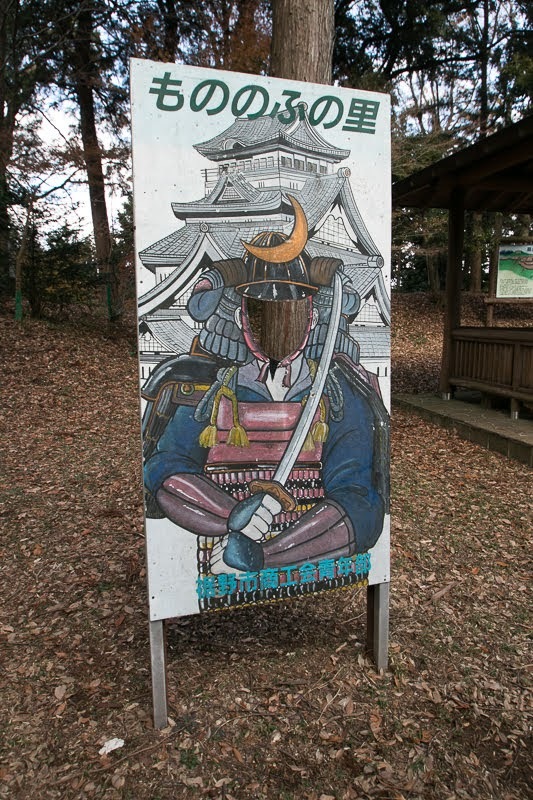 Shingen Takeda (1521-1573) broke the triangle treaty and invaded weakened Imagawa clan, then there arouse a conflict between Takeda clan and Hojyo clan which still supported Imagawa clan. Kazurayama clan changed to Takeda clan at the time of invasion to Imagawa clan and became their retainer. 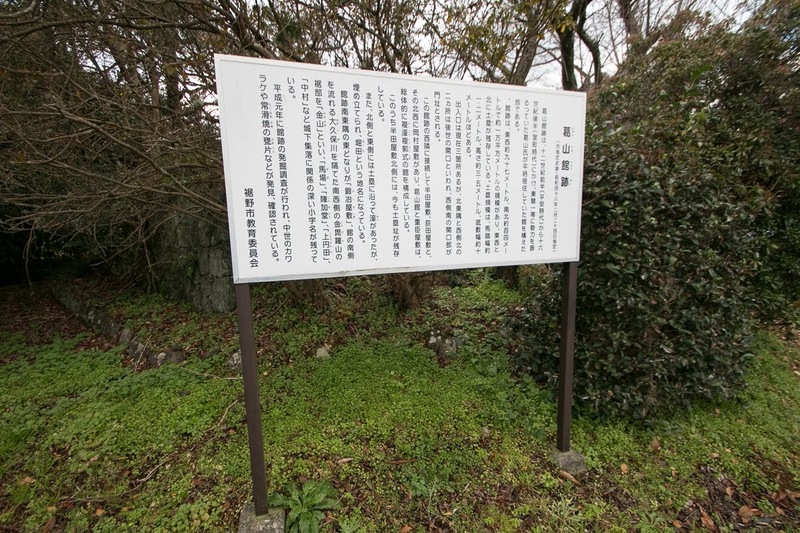 However, Takeda clan did not allow a large and half independent local clan any more and Ujimoto Kazurayama (1520-1573) was killed by Shingen by plot of betrayal. Shingen already sent his sixth son Nobusada Kazurayama (?-1582) as an adopted son of Ujimoto, and placed him as a leader of Kazurayama clan. 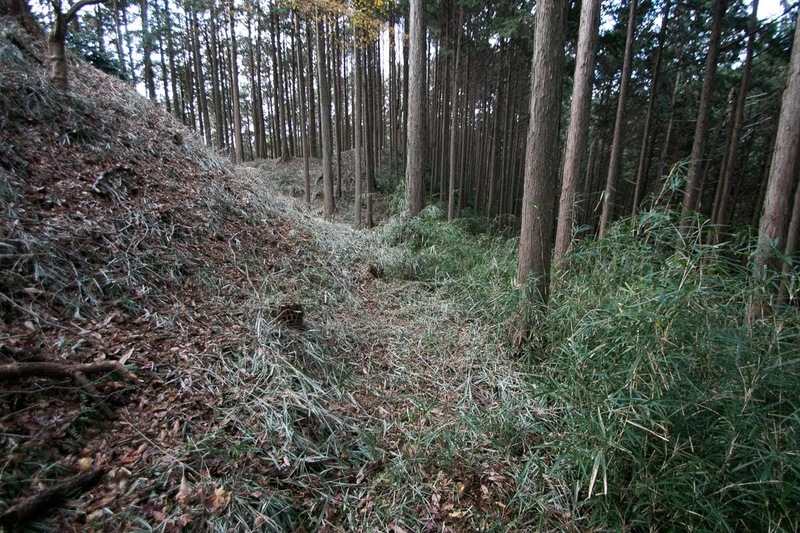 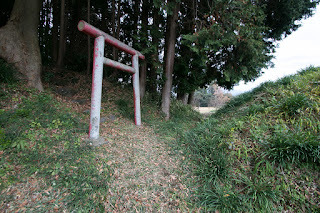 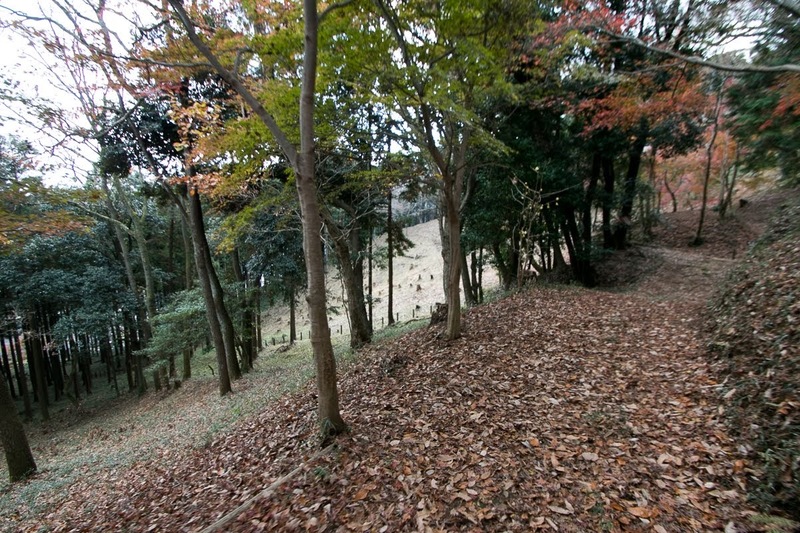 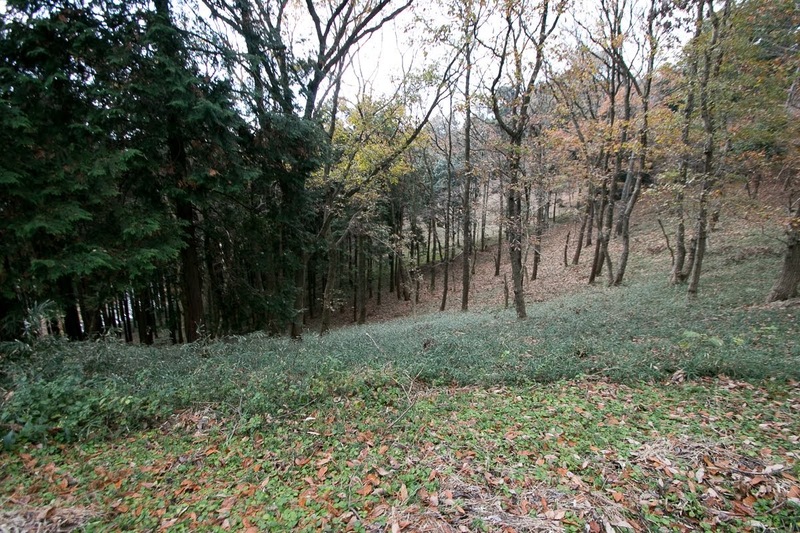 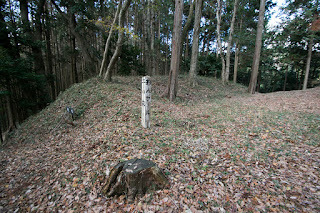 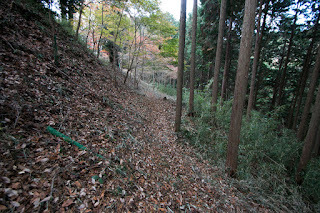 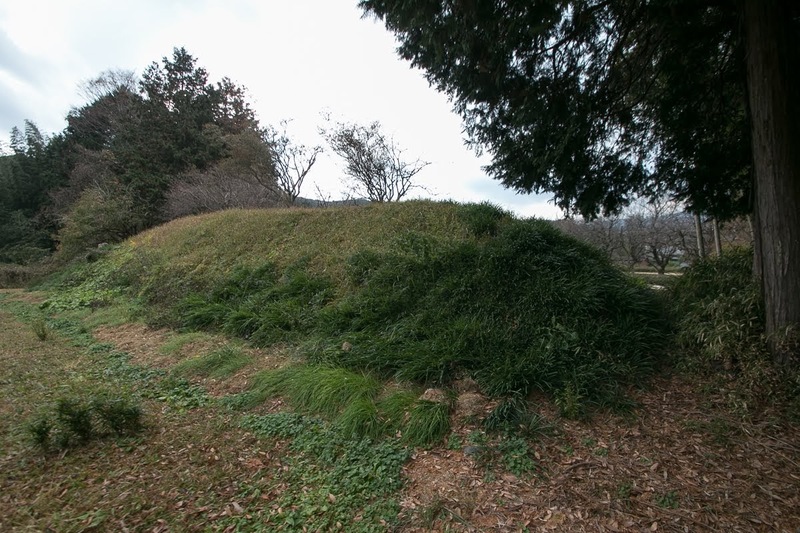 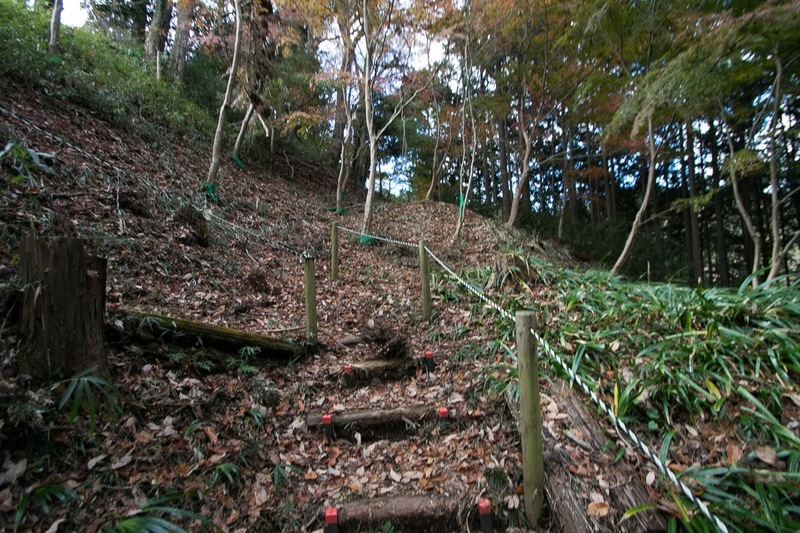 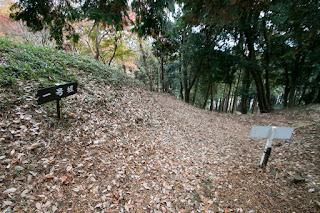 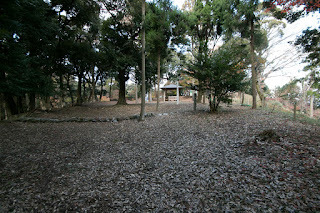 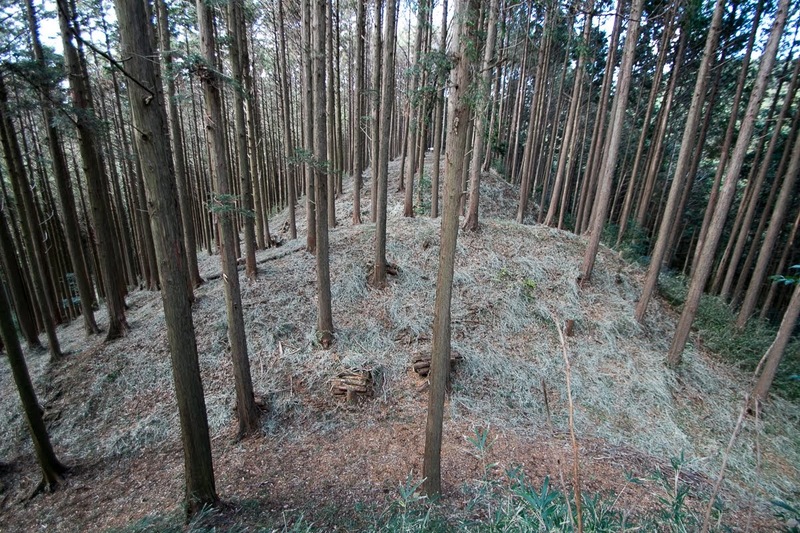 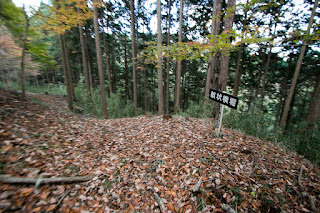 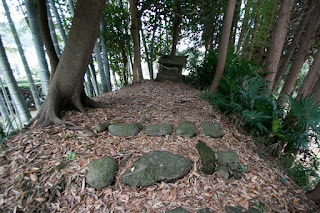 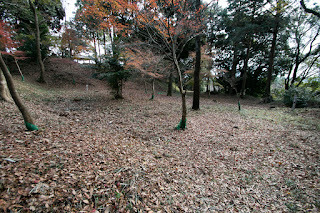 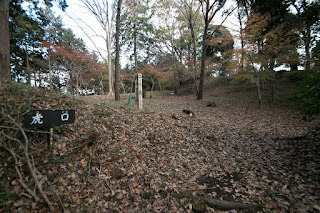 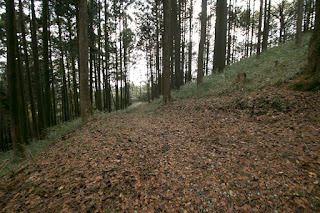 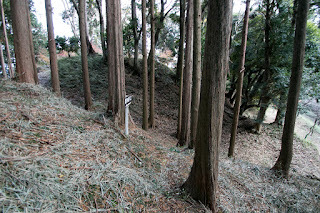 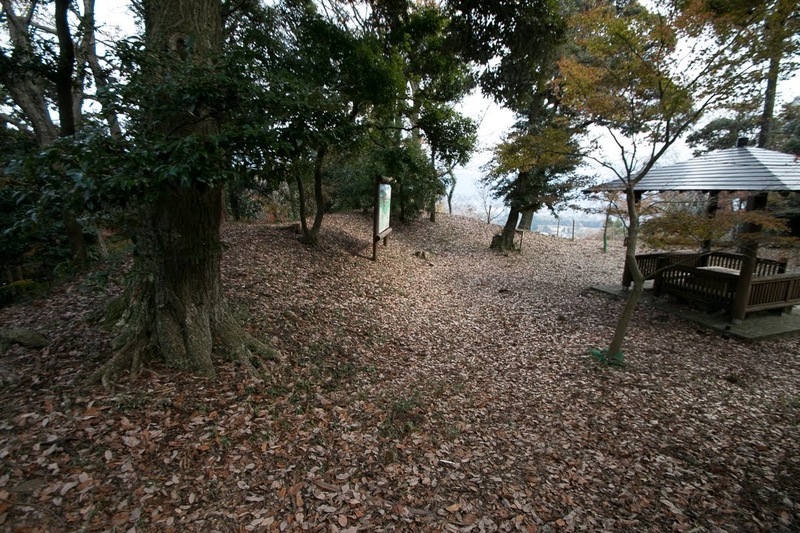 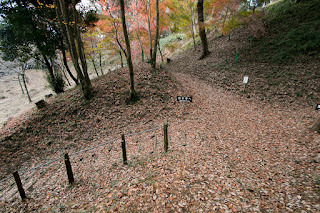 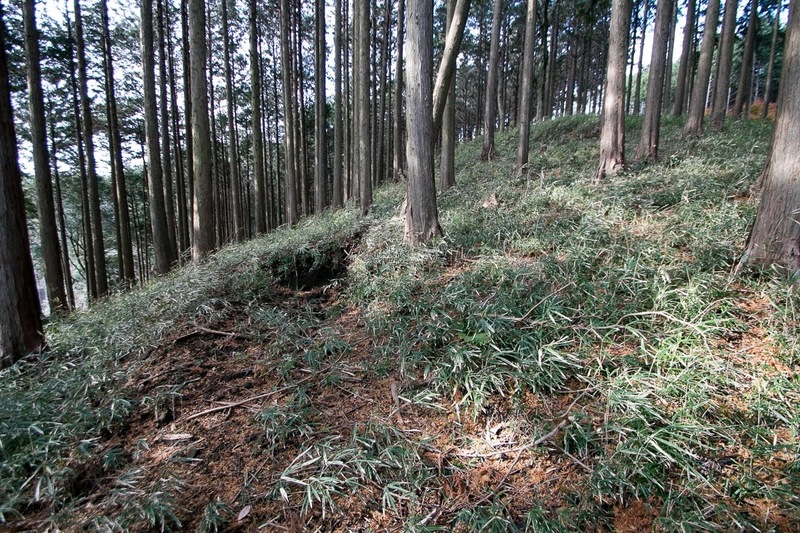 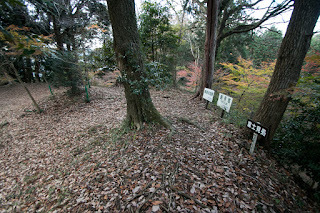 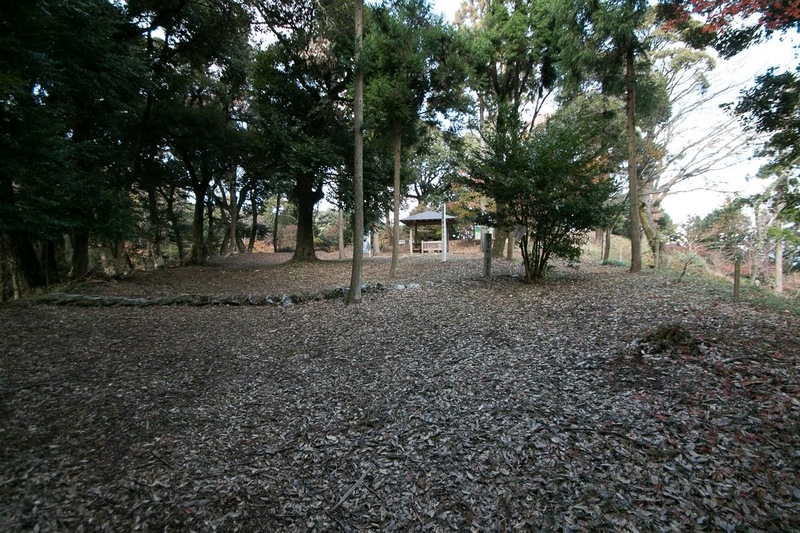 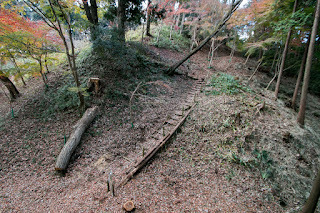 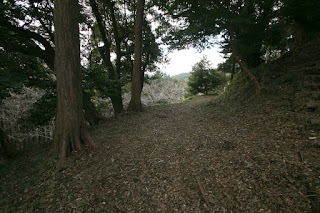 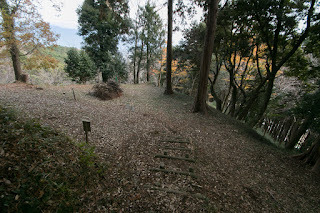 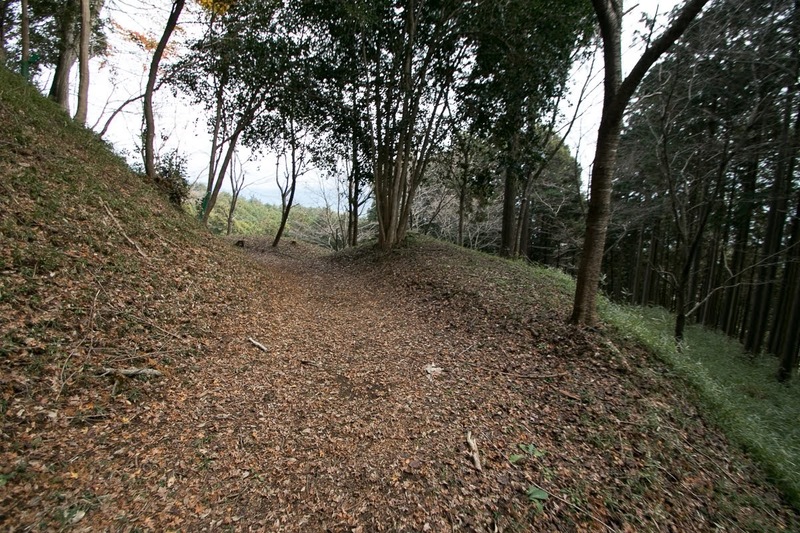 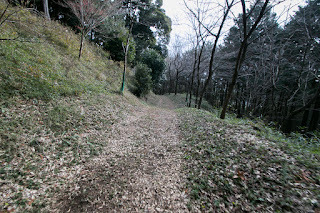 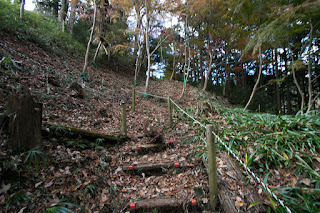 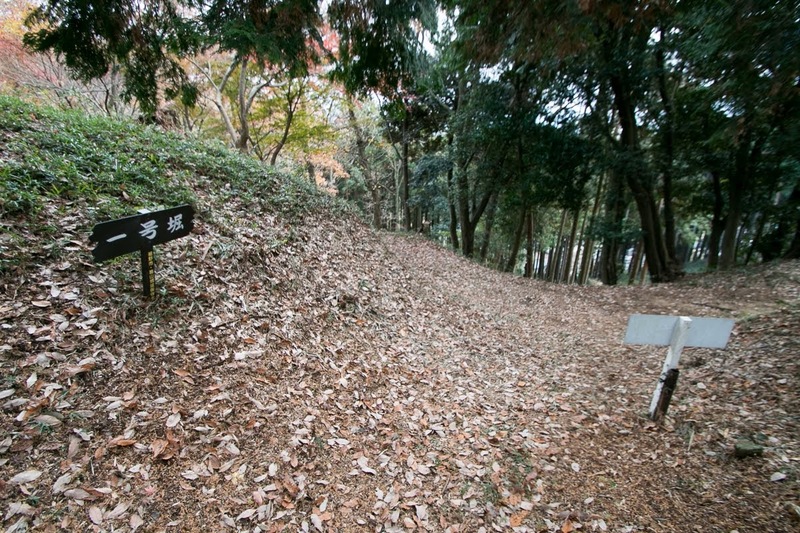 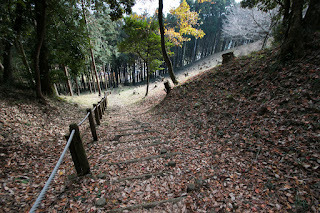 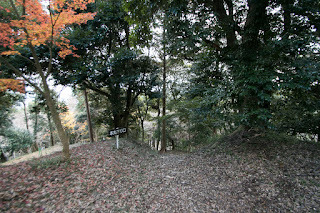 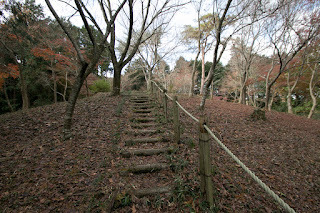 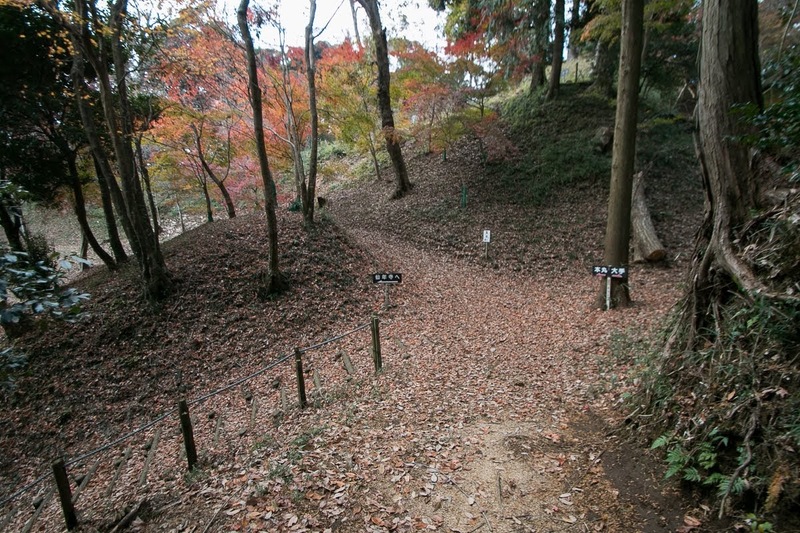 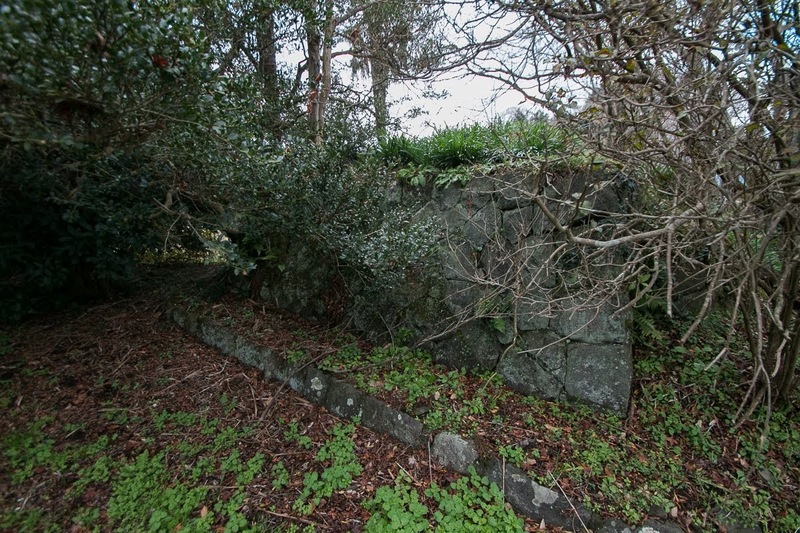 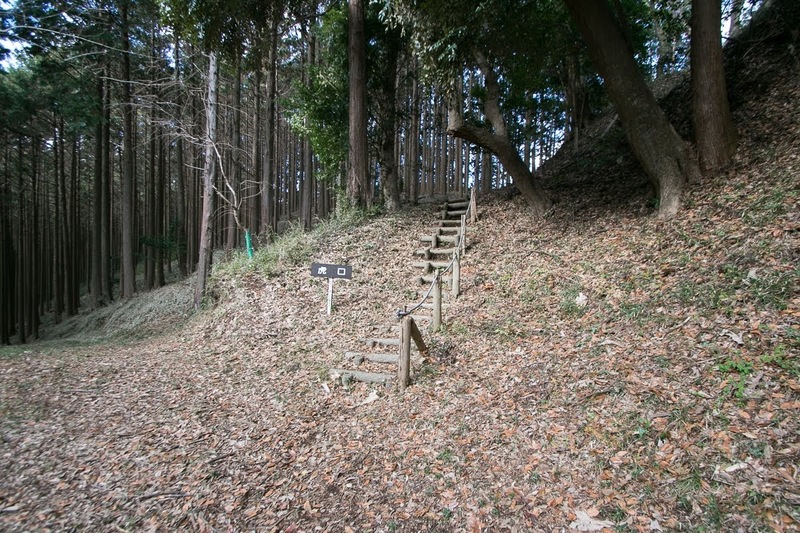 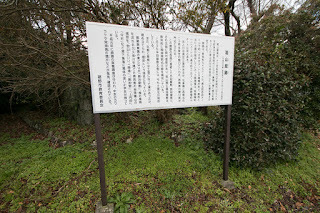 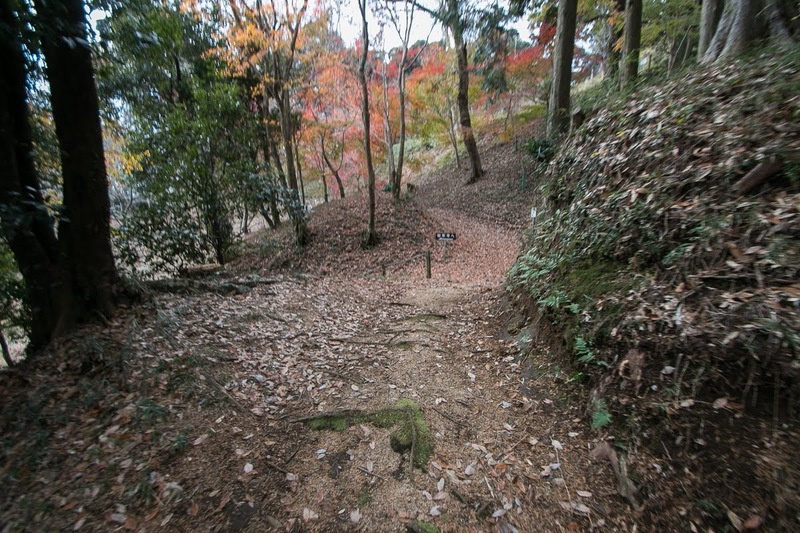 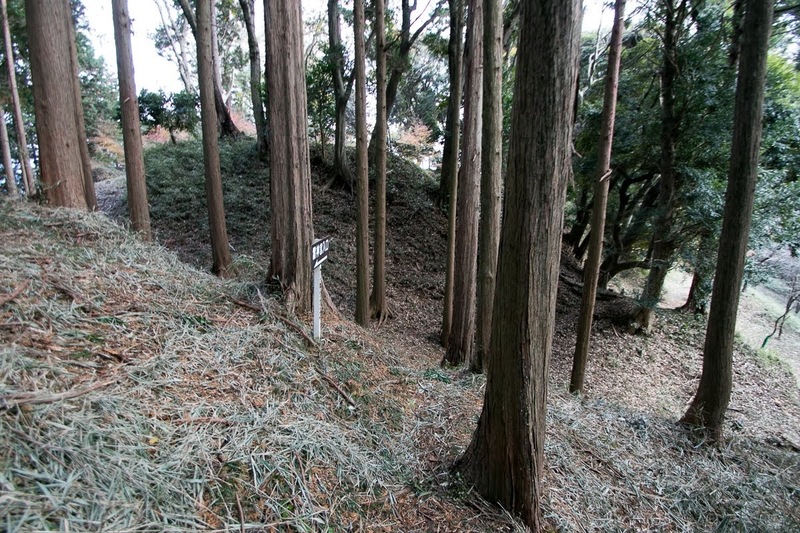 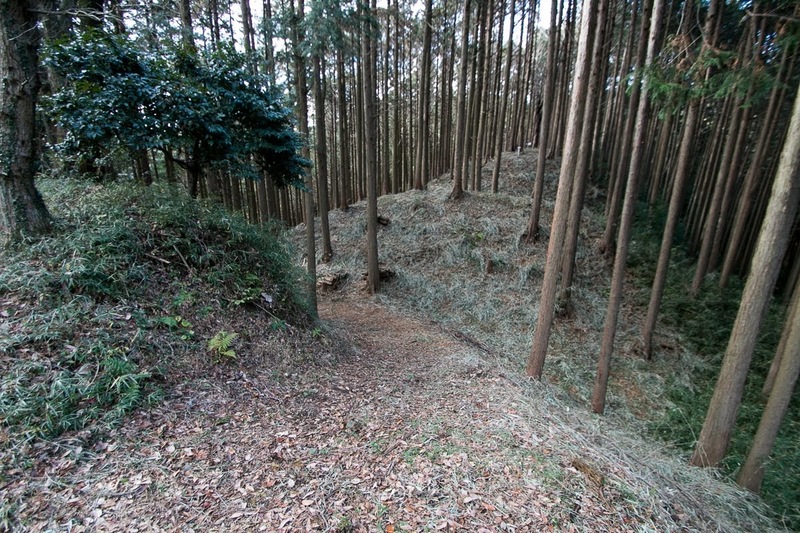 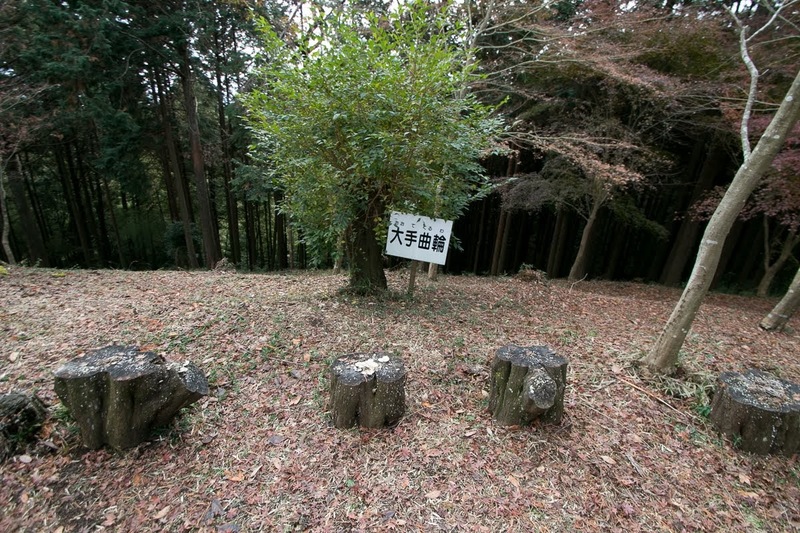 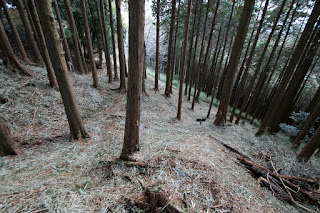 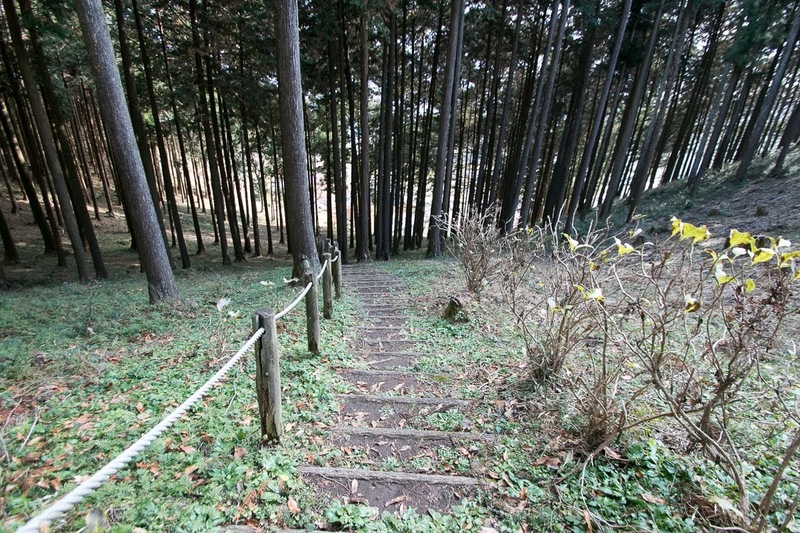 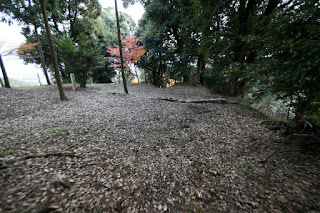 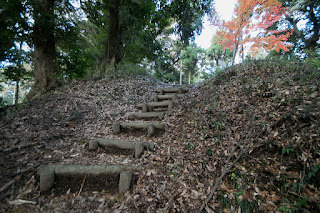 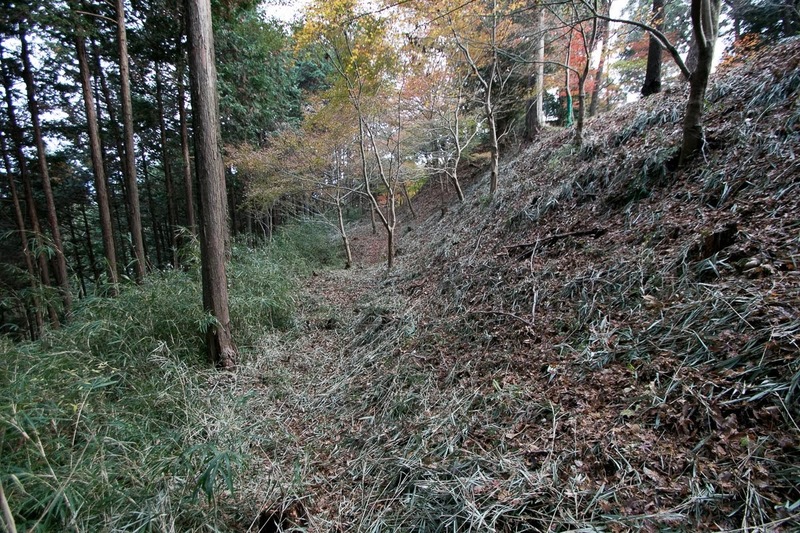 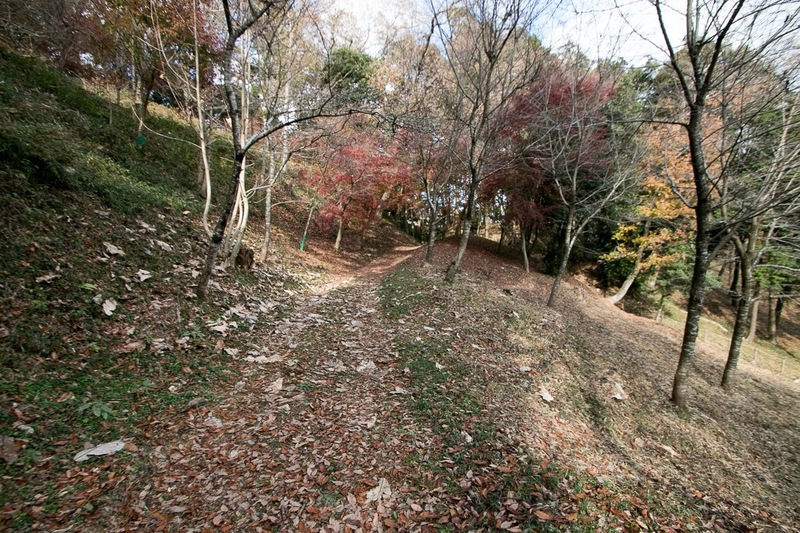 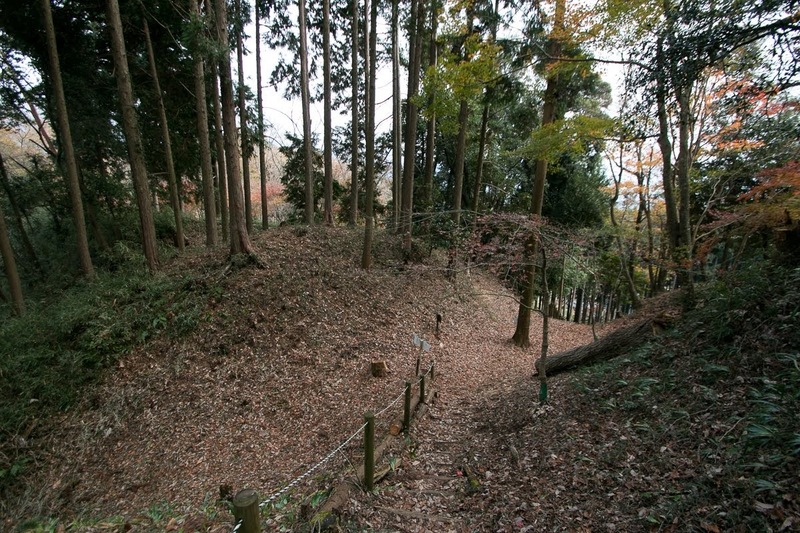 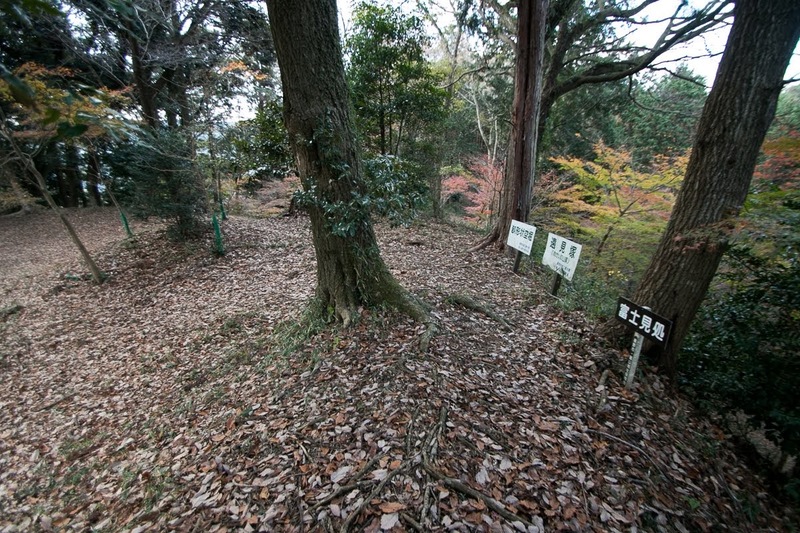 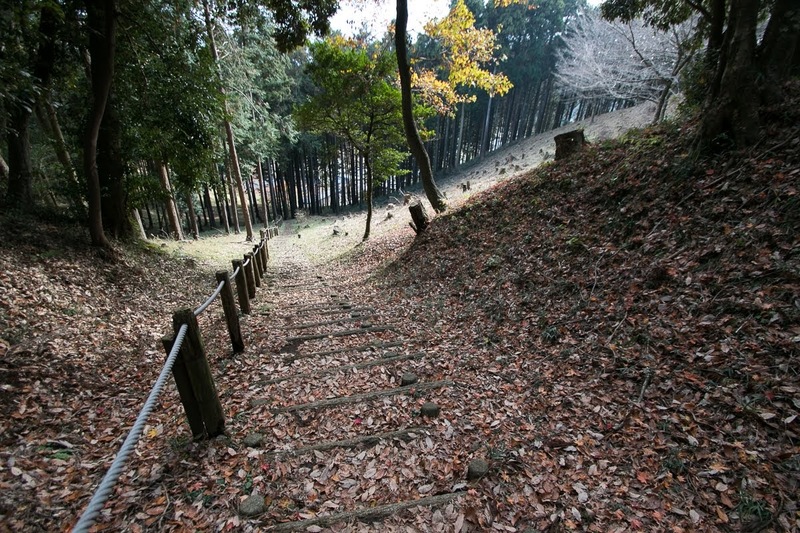 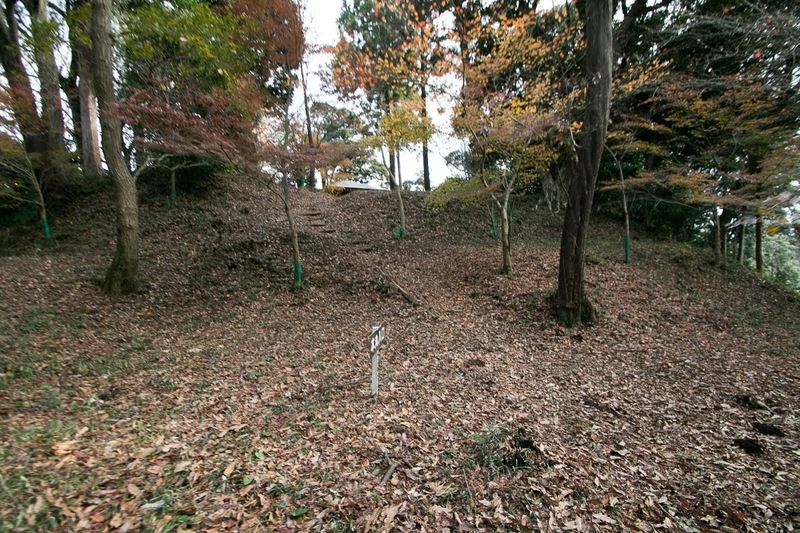 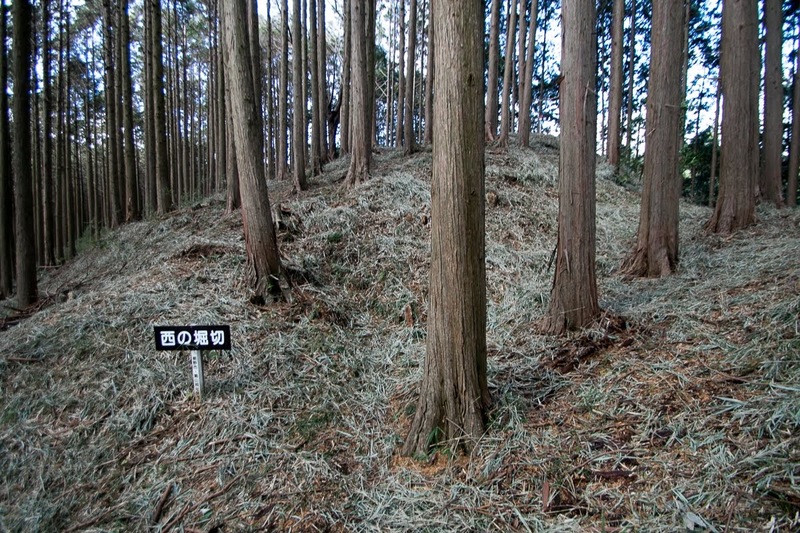 The name of Kazurayama clan barely continued, and it is thought Takeda clan reformed Kazurayama castle as their base. But Nobusada killed himself at the time of fall of Takeda clan by Nobunaga Oda (1534-1582) in 1582, and finally Katsuryama clan disappeared from the history. Now we can see the structure of the castle clearly on the hill, and along with ruin of residence the atmosphere as the main base of major medieval local lord is still kept in the valley.